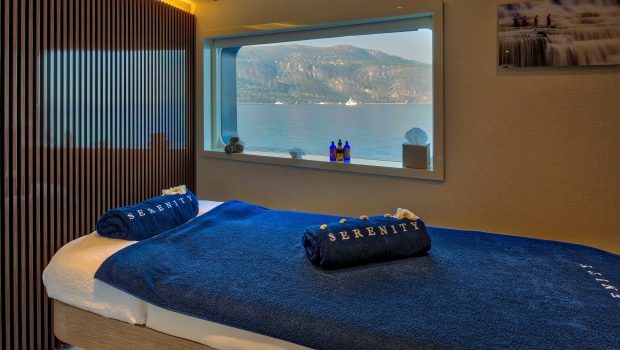 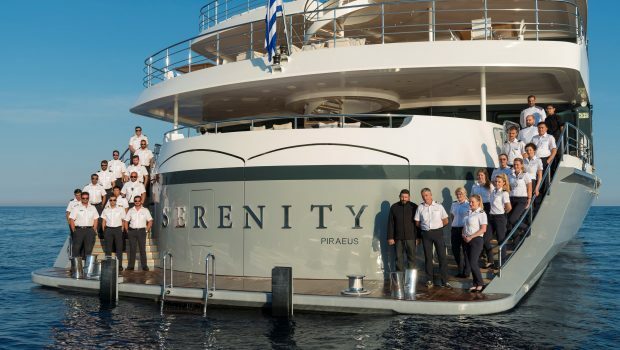 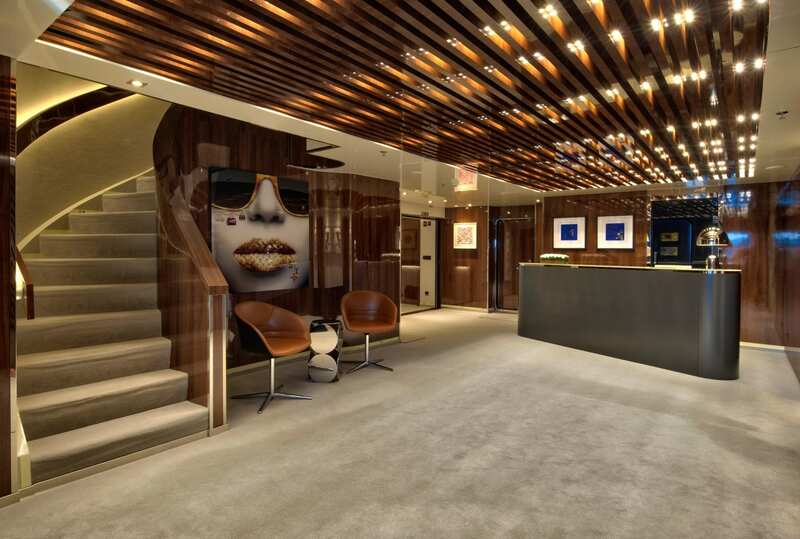 SERENITYis a magnificent 236 foot modern mega yacht. 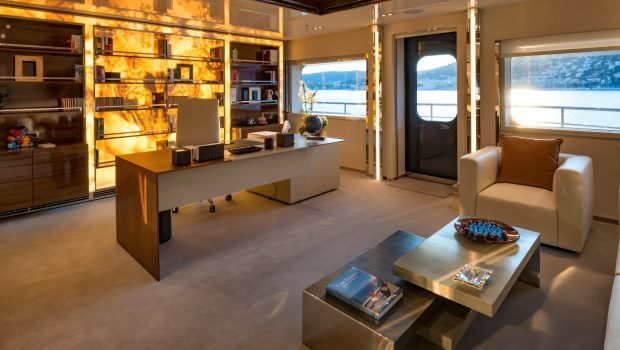 The instructions given to the designers by the Owner were for a light, spacious and fun yacht!! 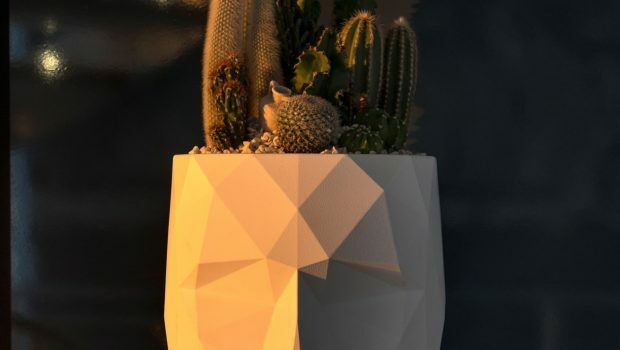 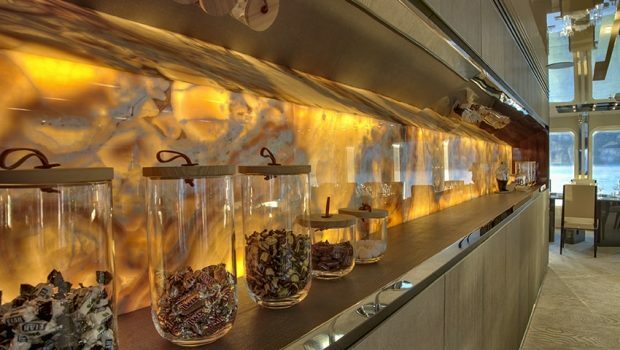 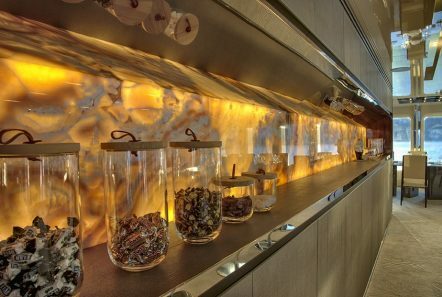 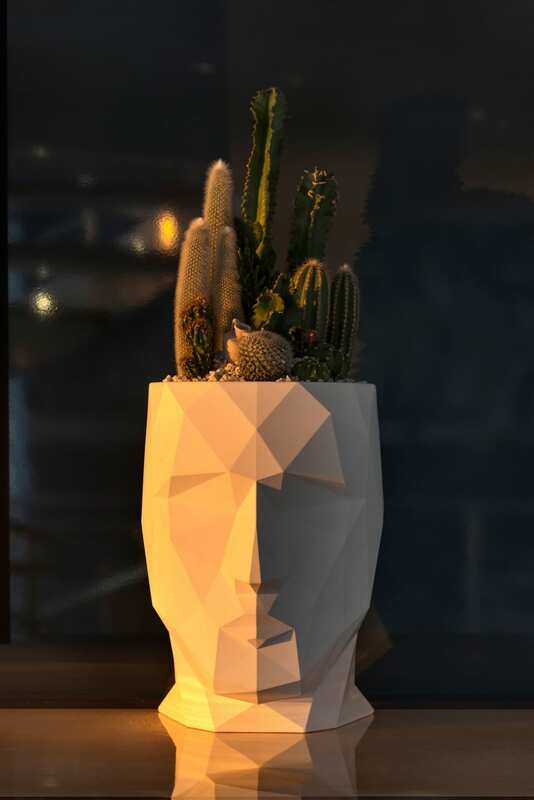 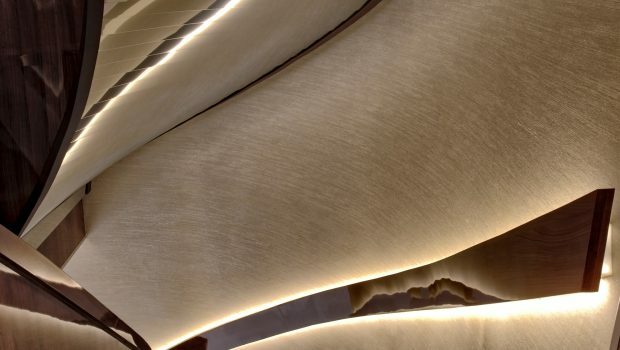 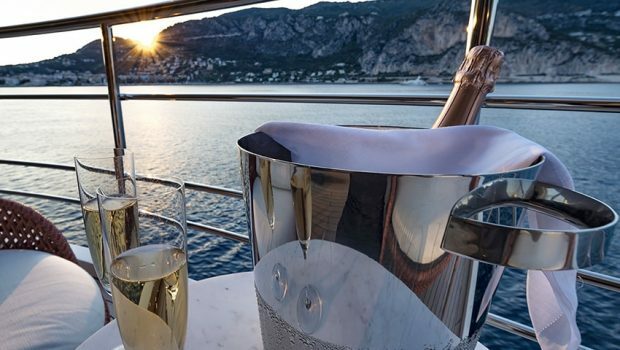 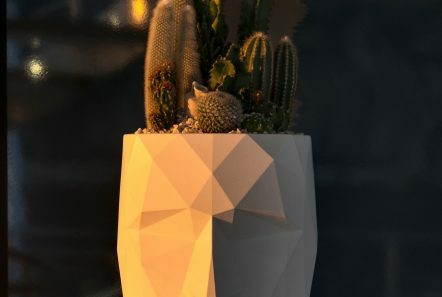 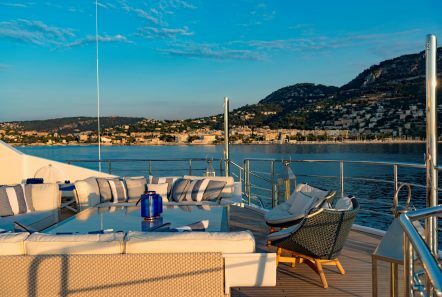 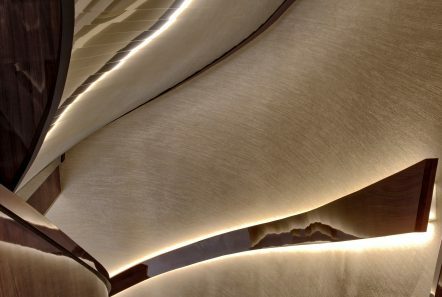 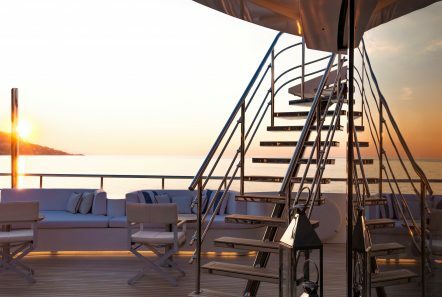 These are indeed the elements that have been adopted on this wonderful yacht. 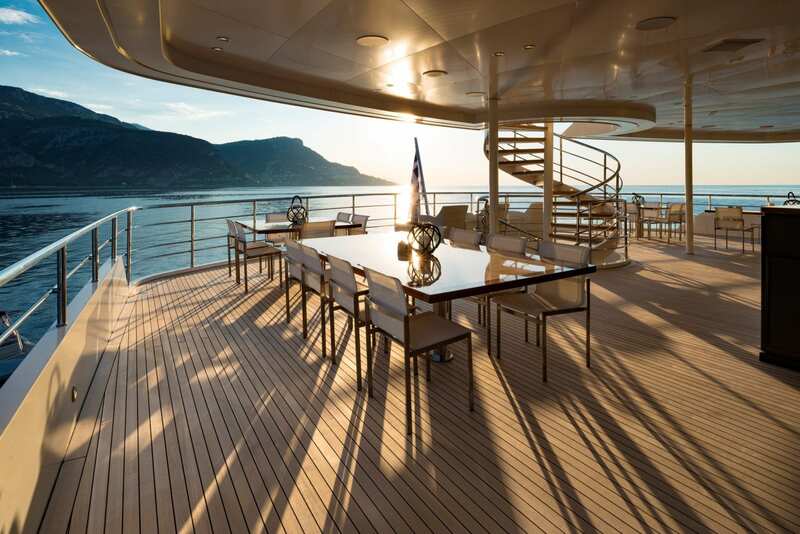 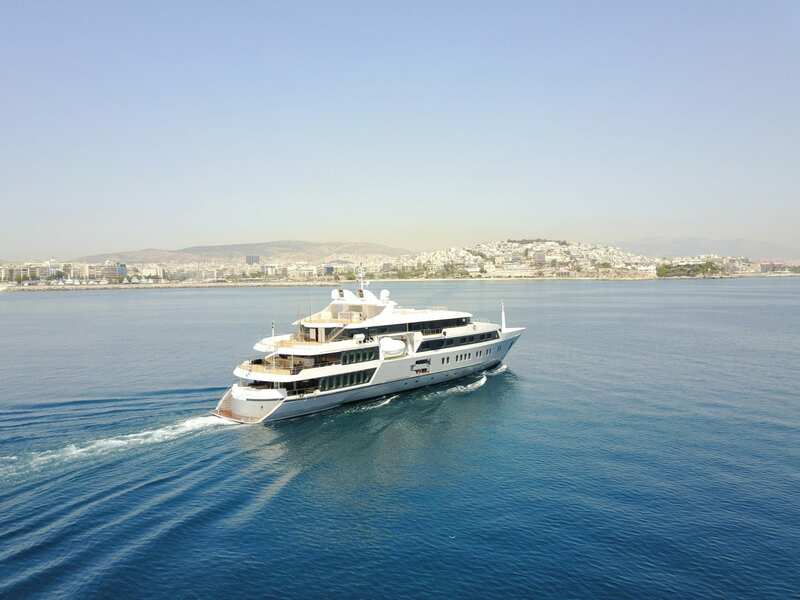 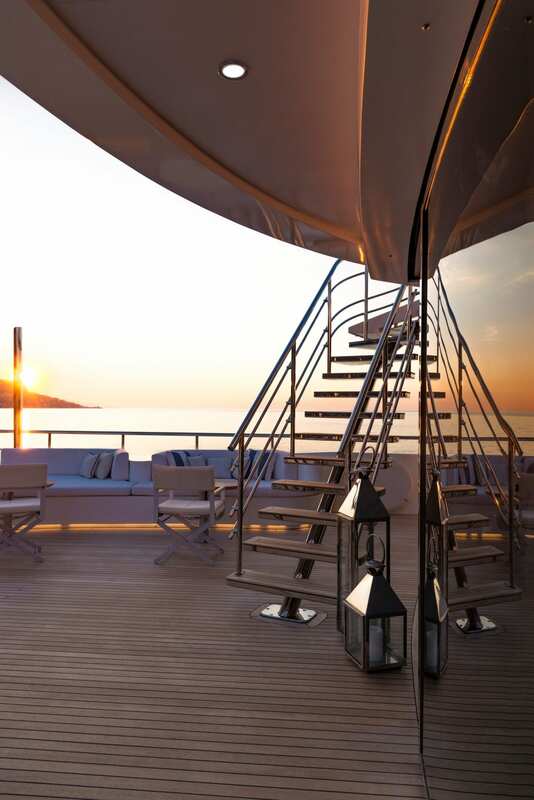 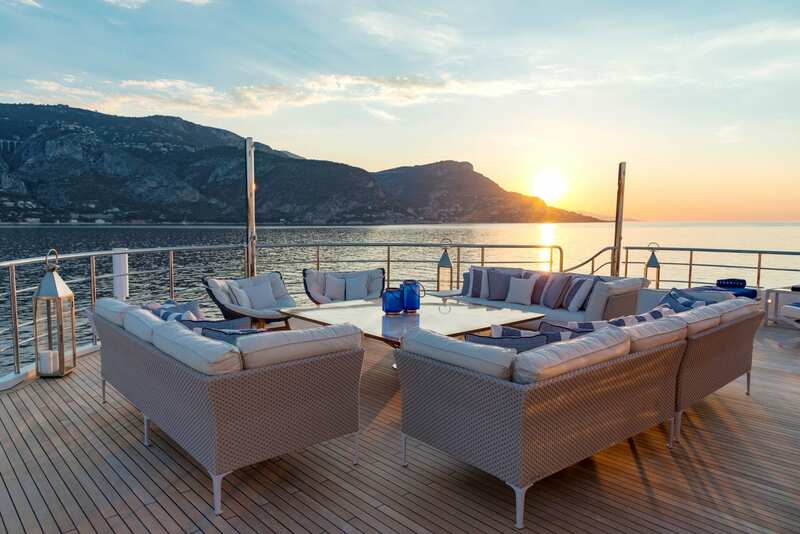 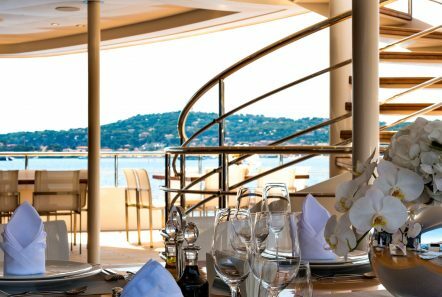 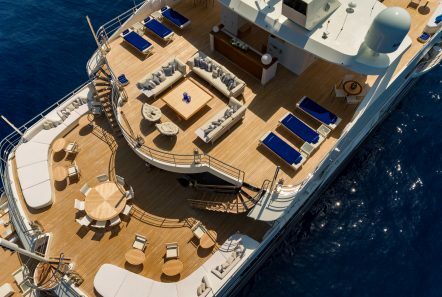 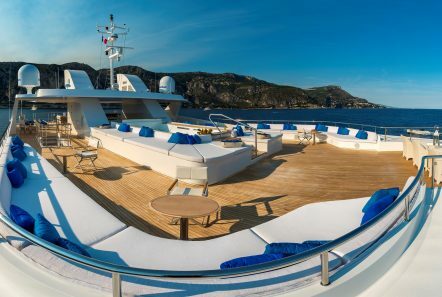 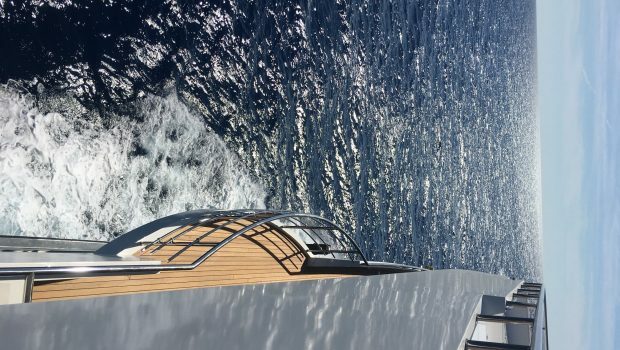 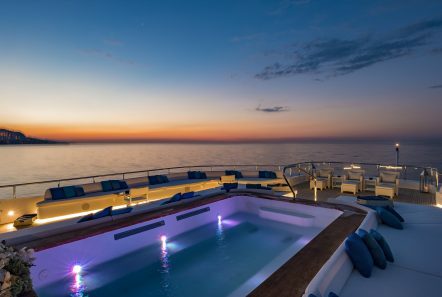 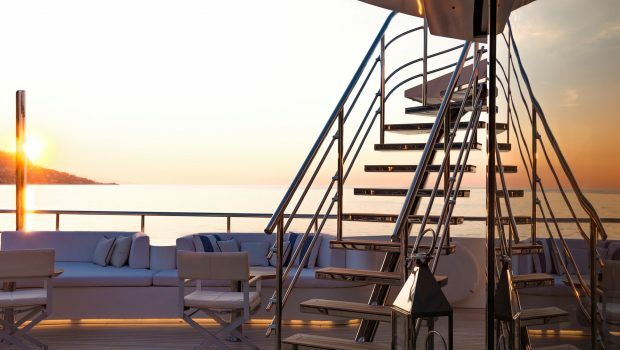 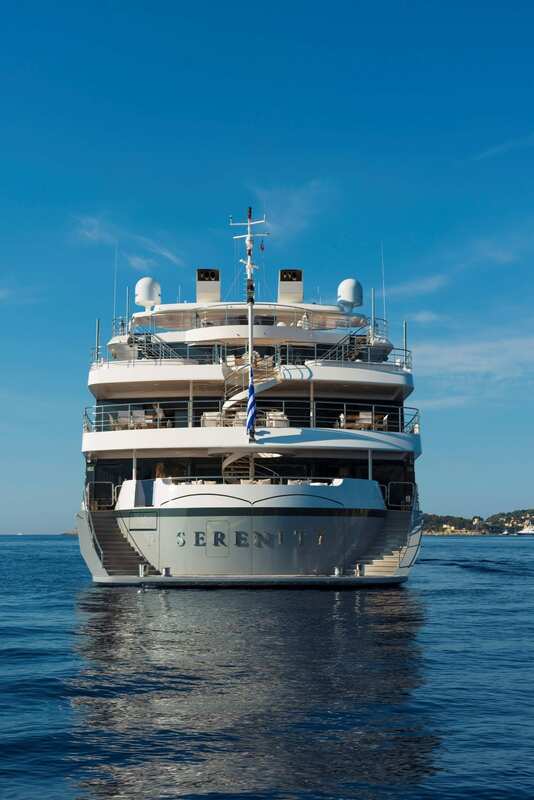 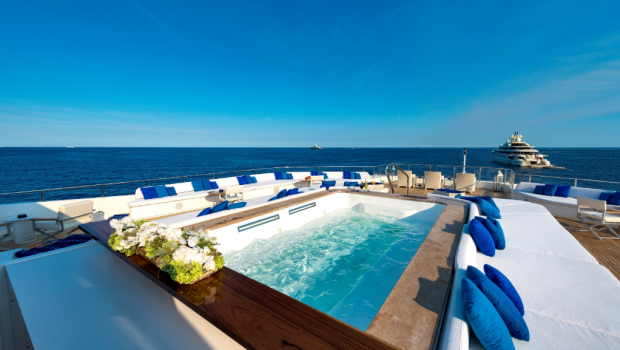 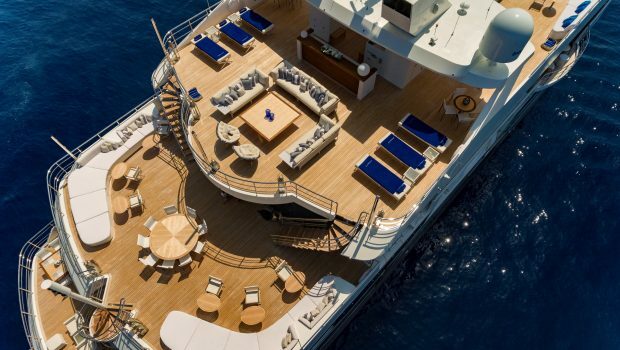 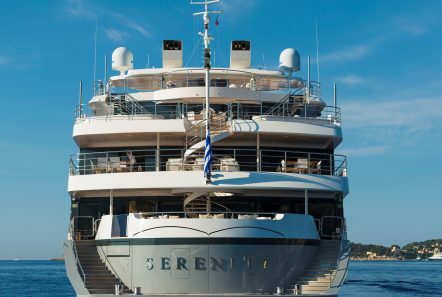 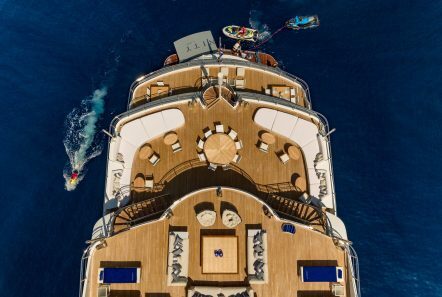 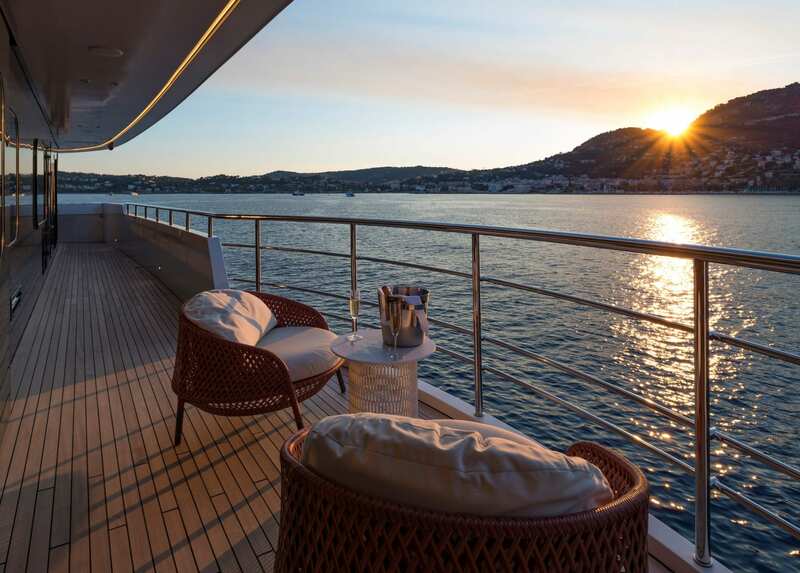 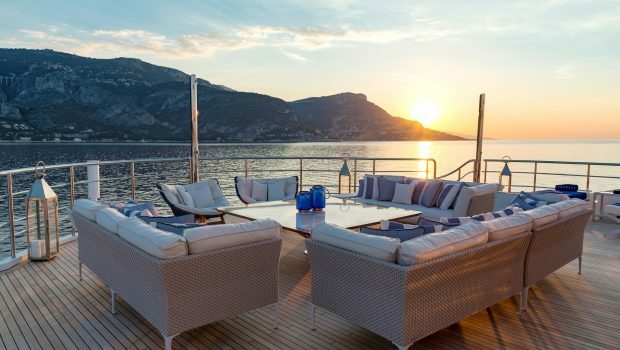 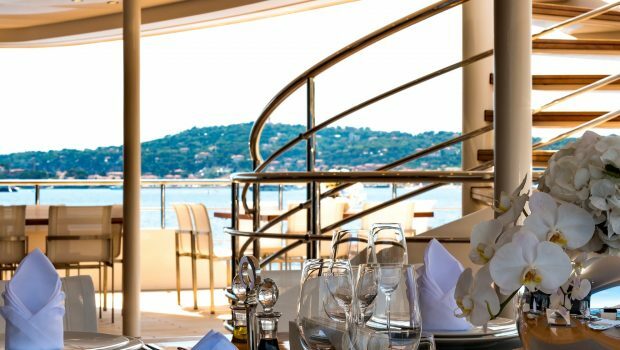 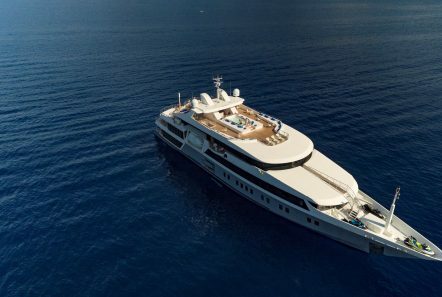 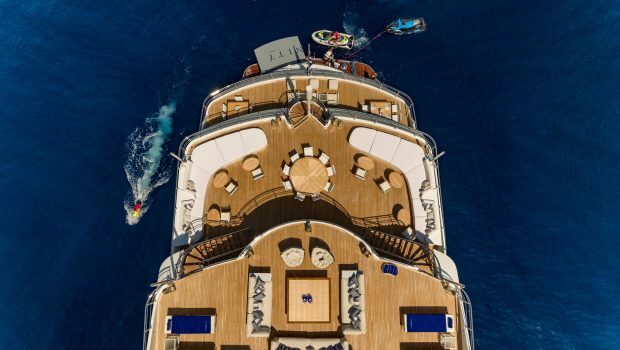 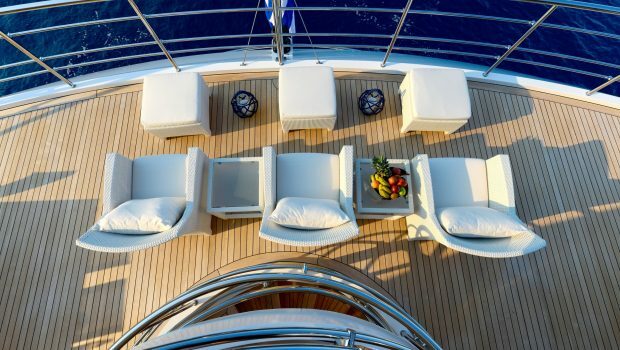 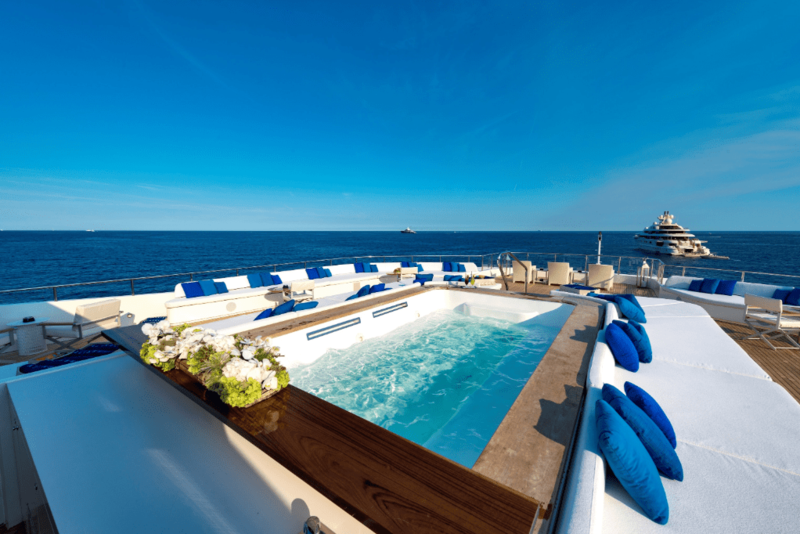 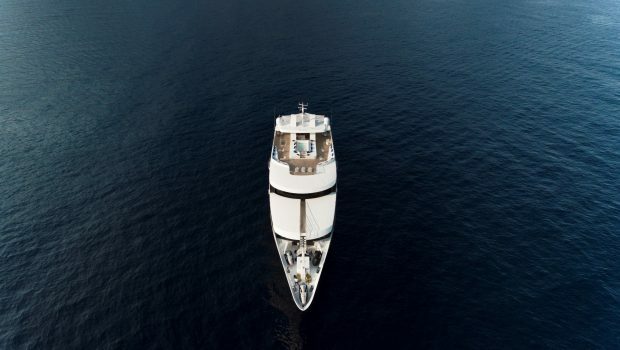 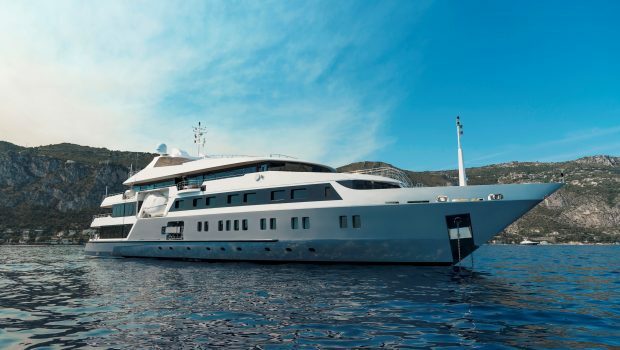 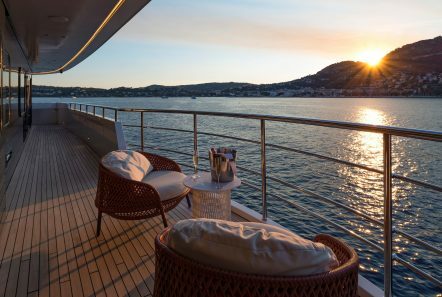 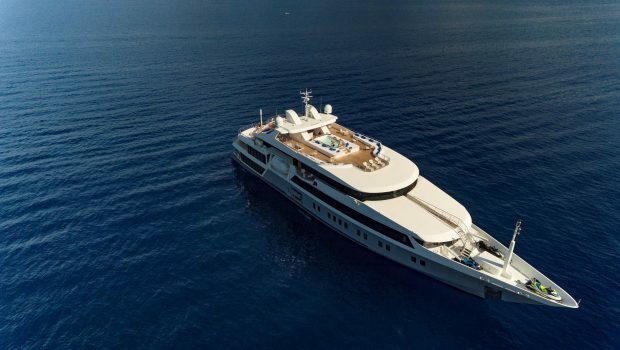 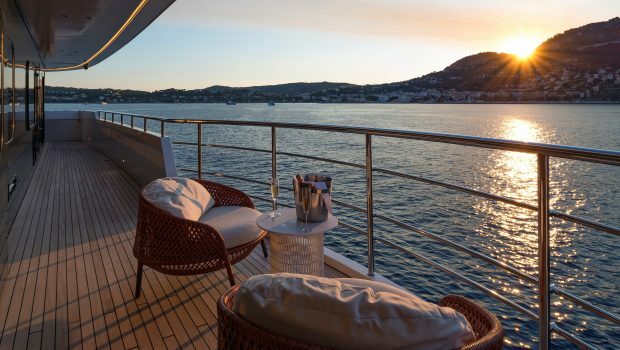 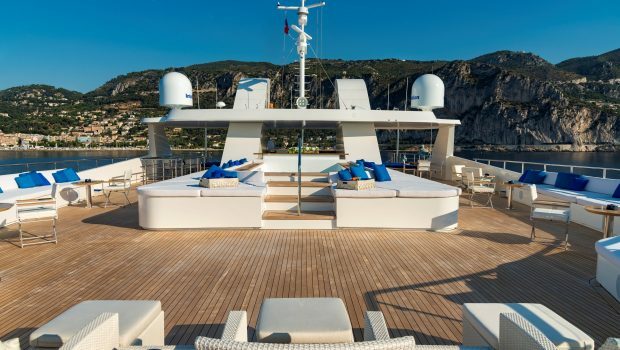 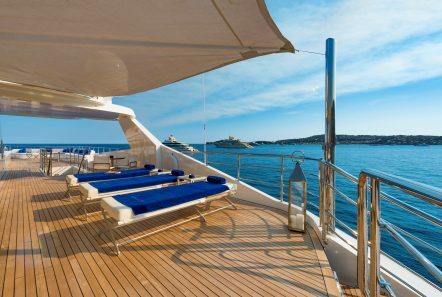 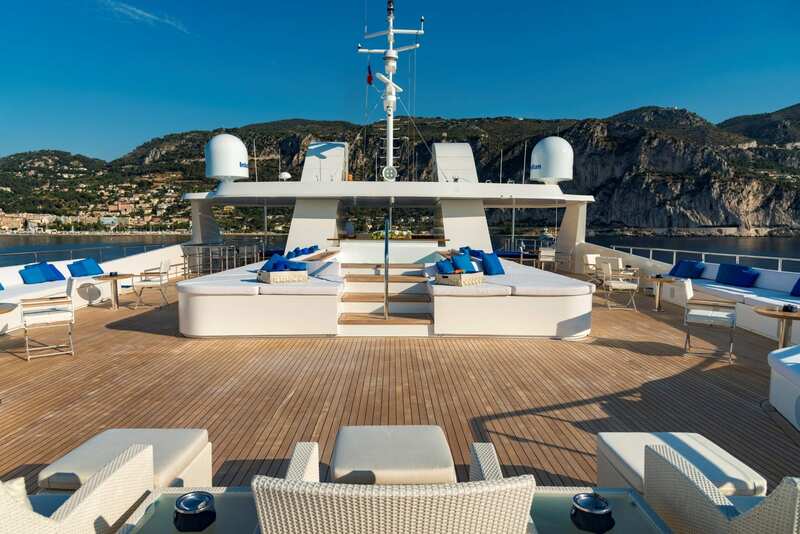 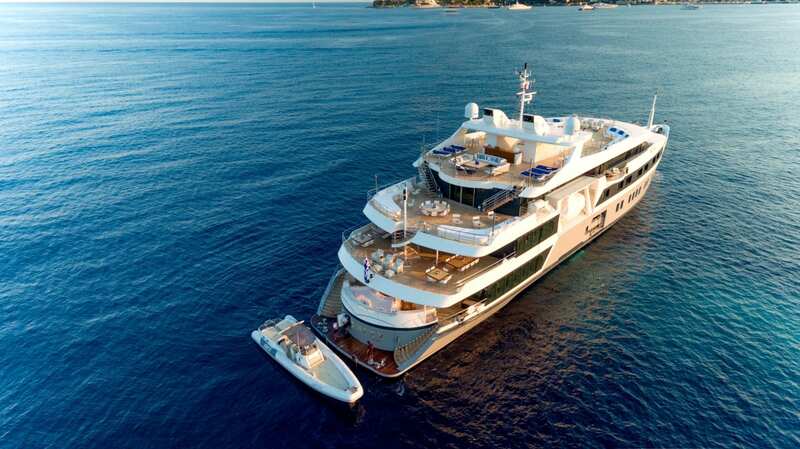 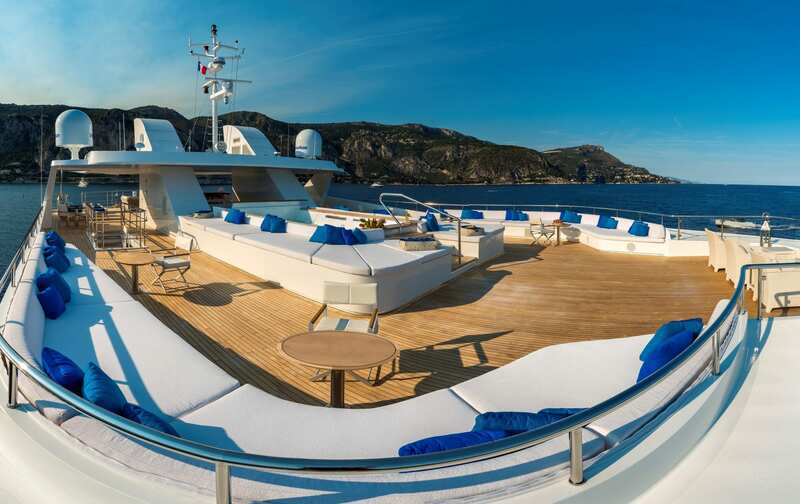 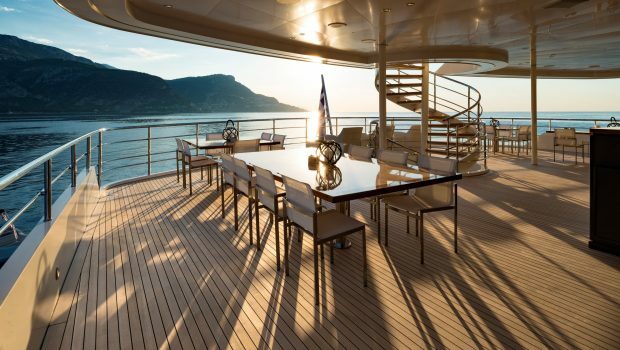 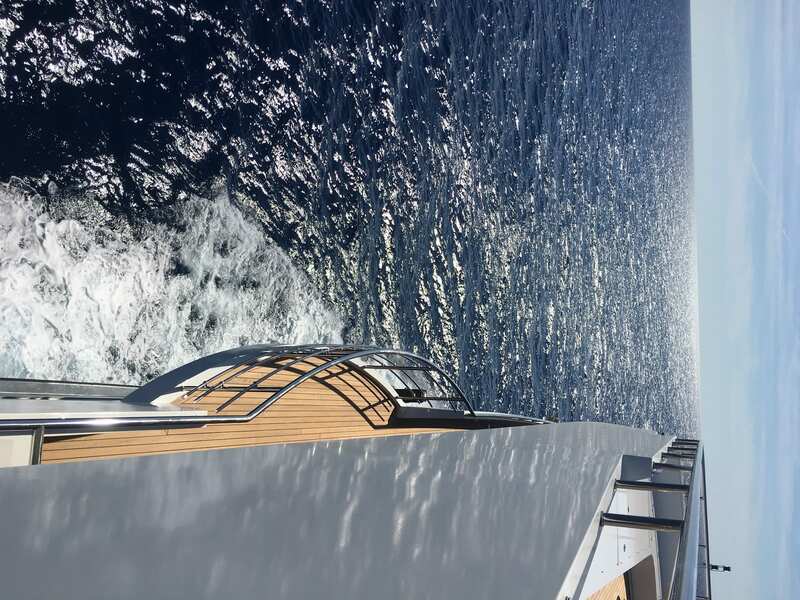 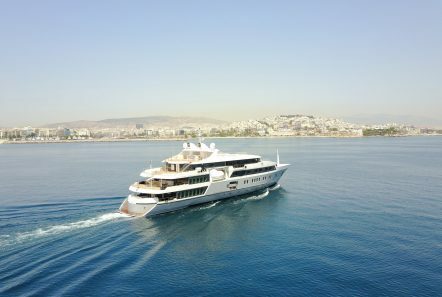 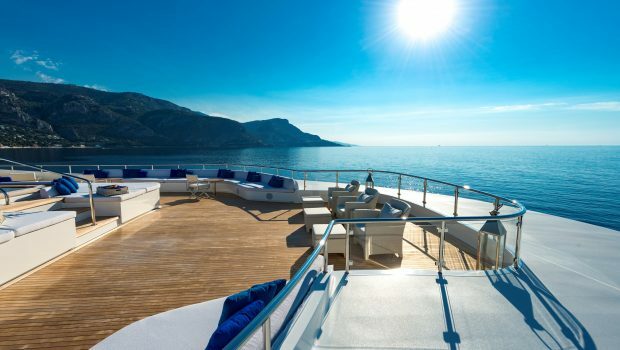 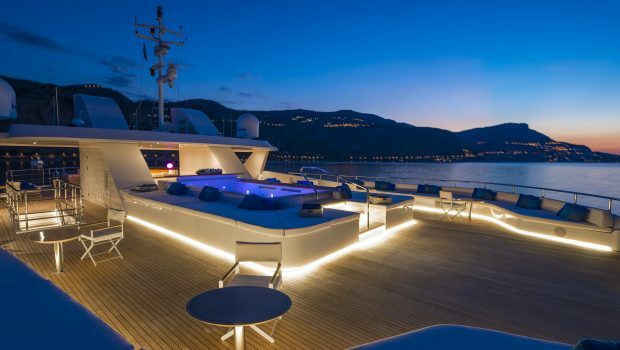 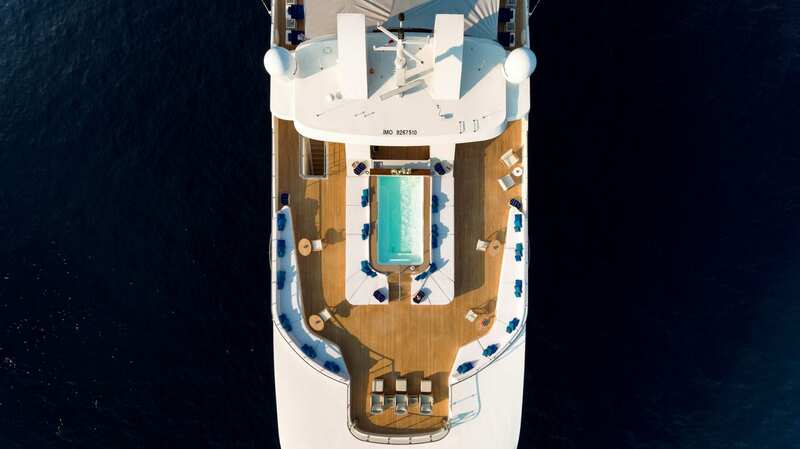 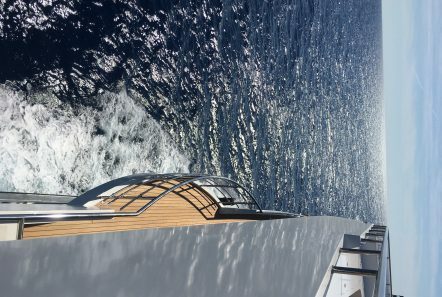 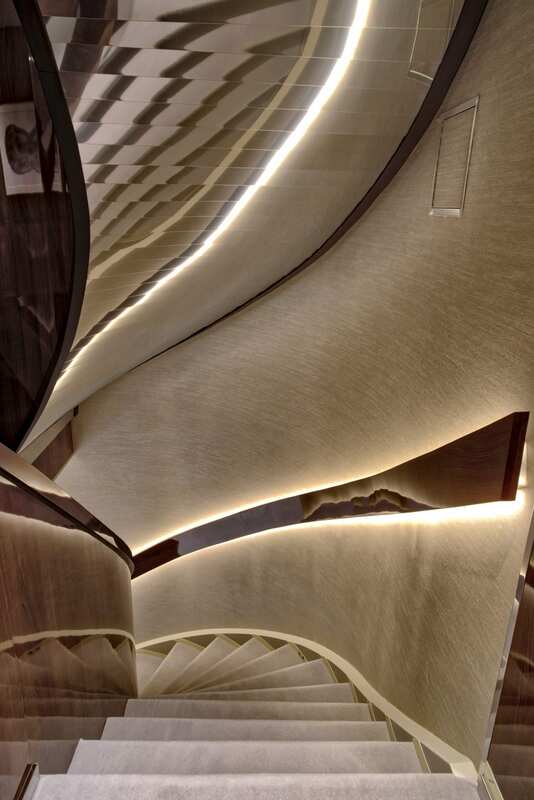 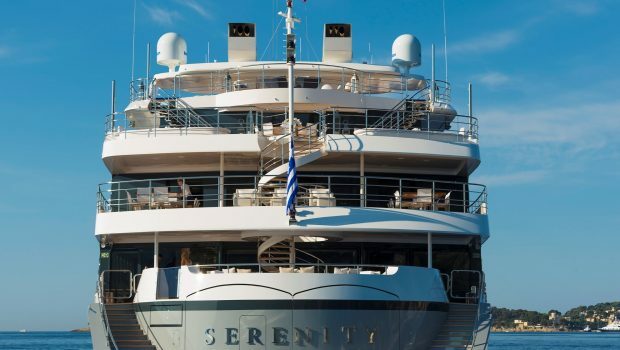 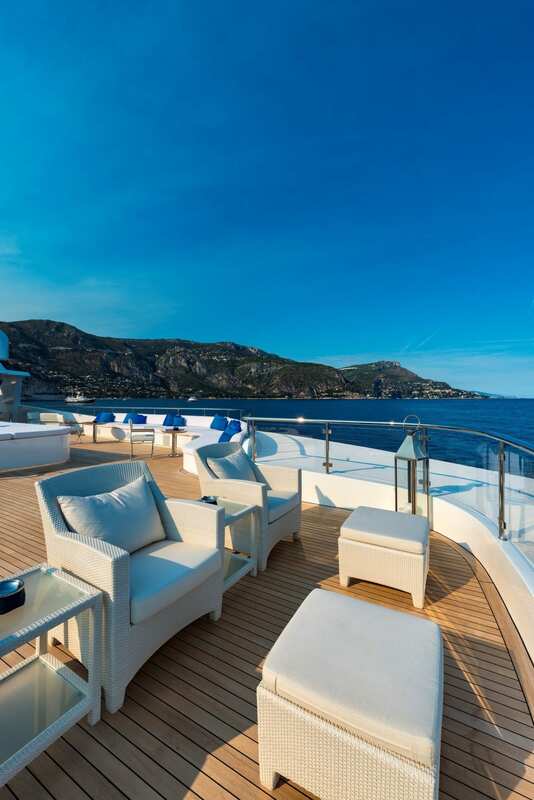 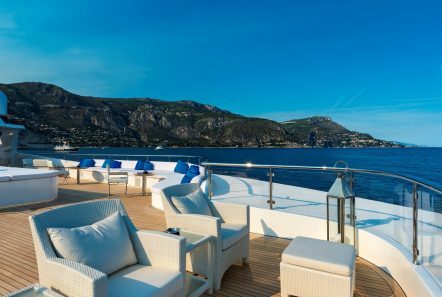 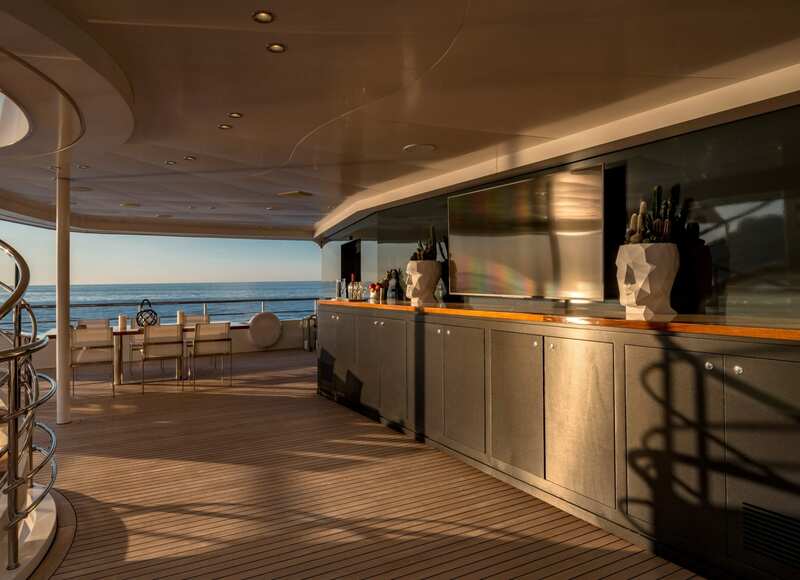 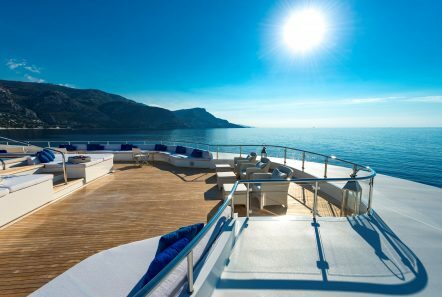 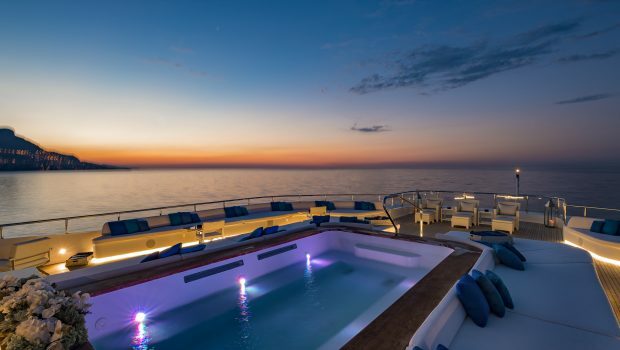 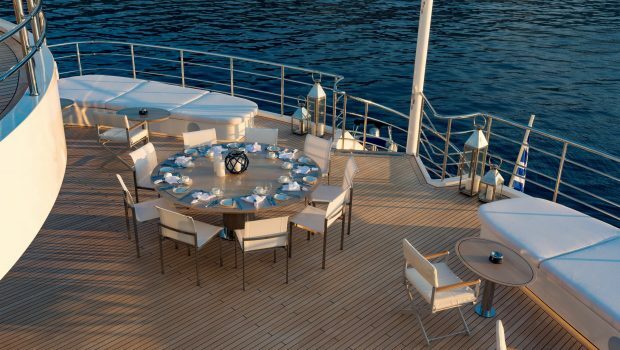 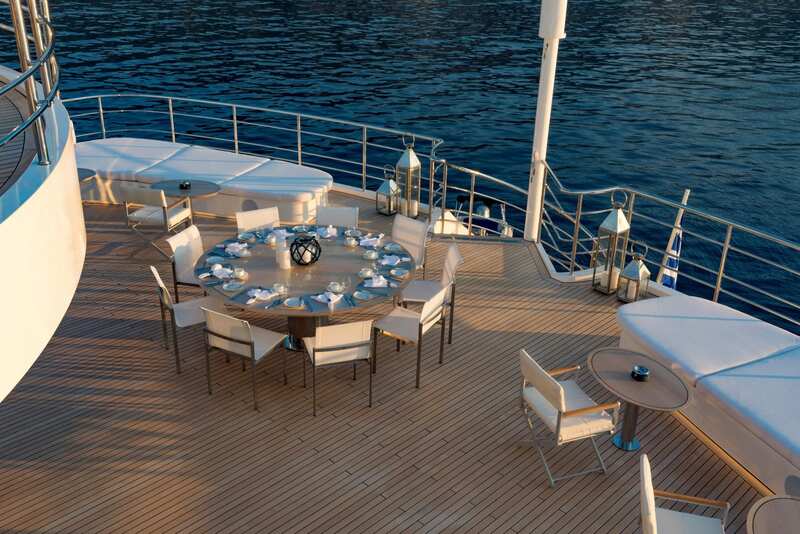 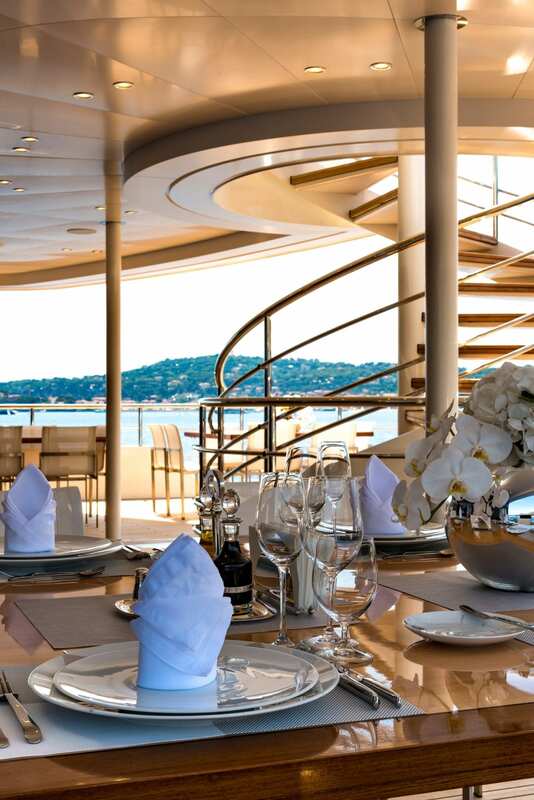 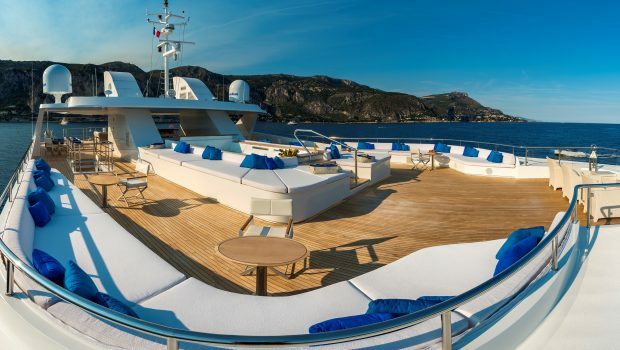 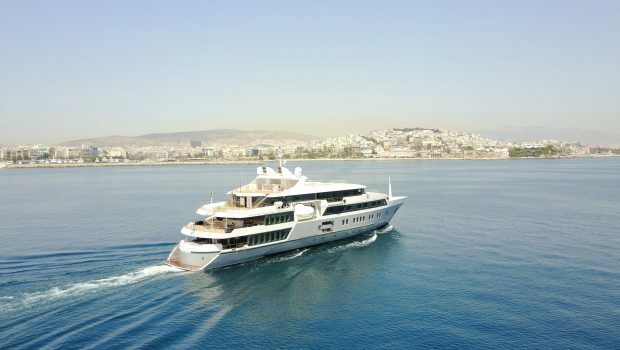 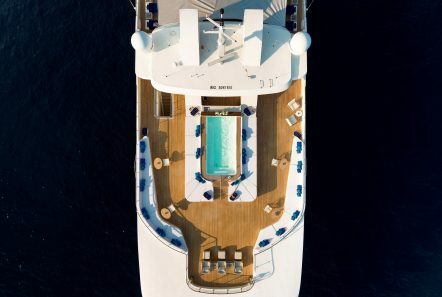 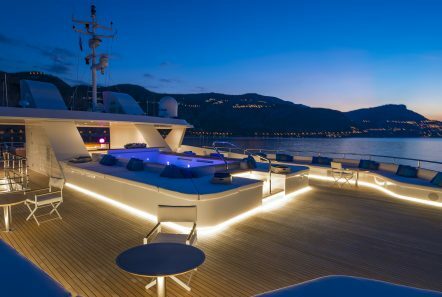 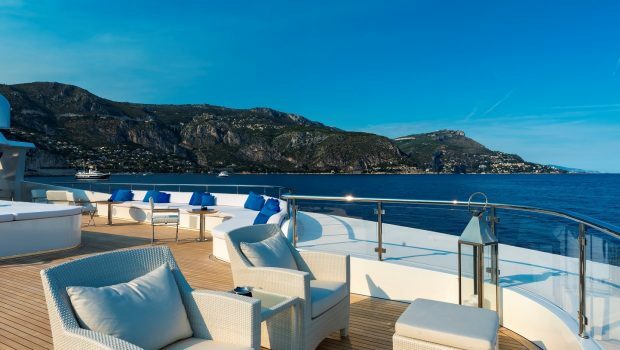 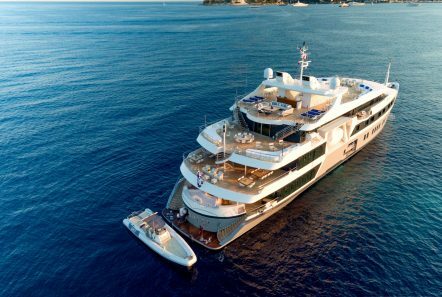 Her multi-level decks make for a most impressive site as she cruises the Mediterranean seas. 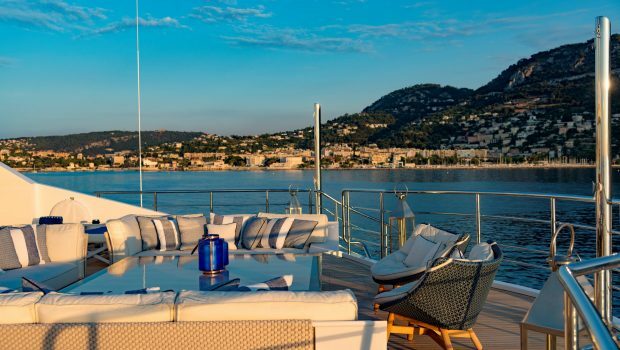 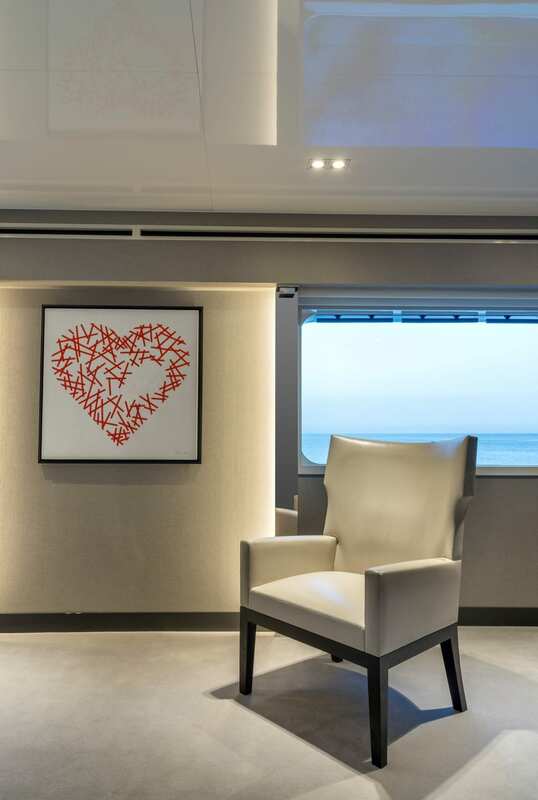 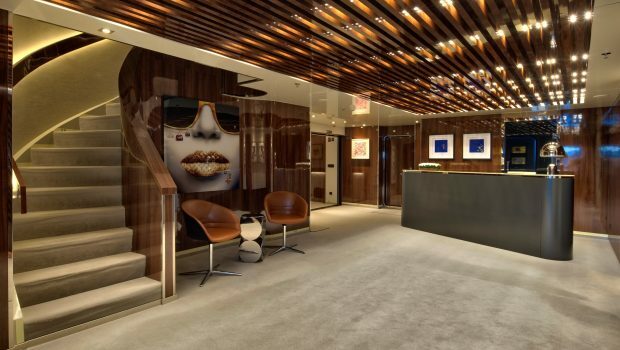 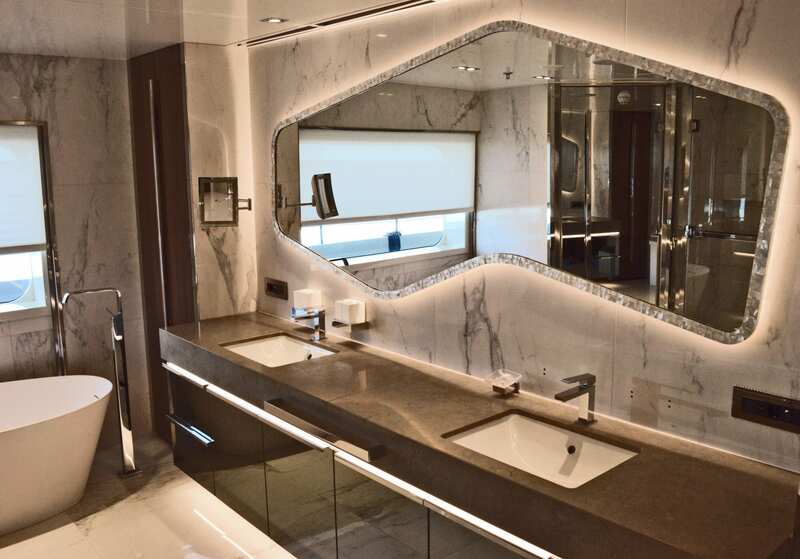 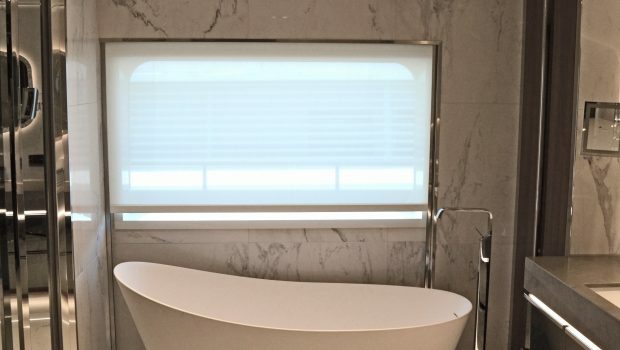 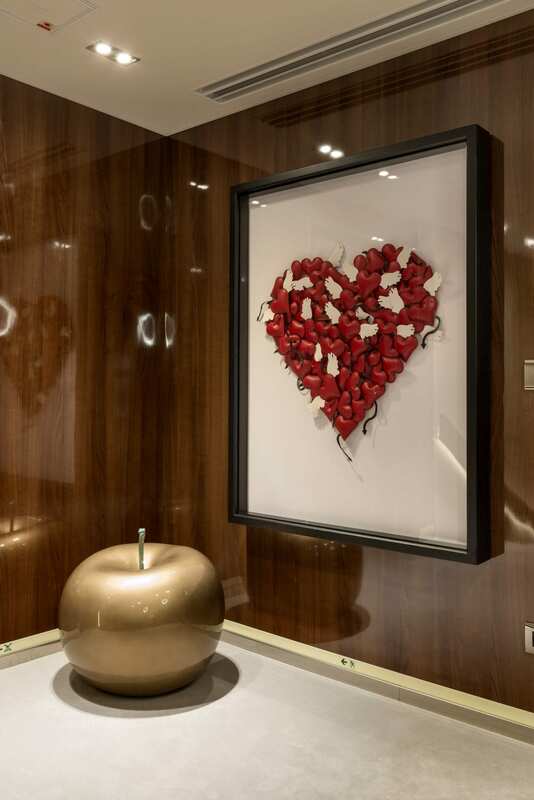 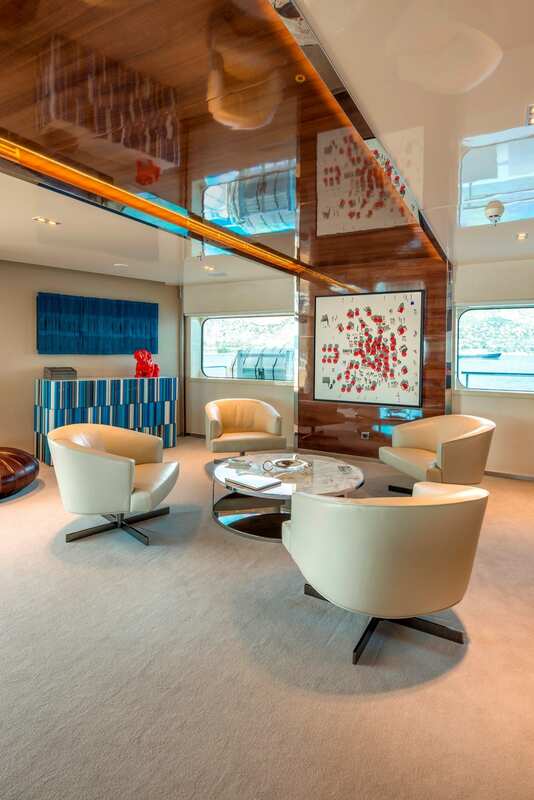 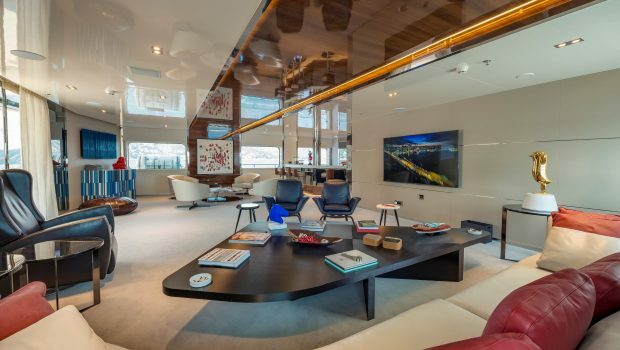 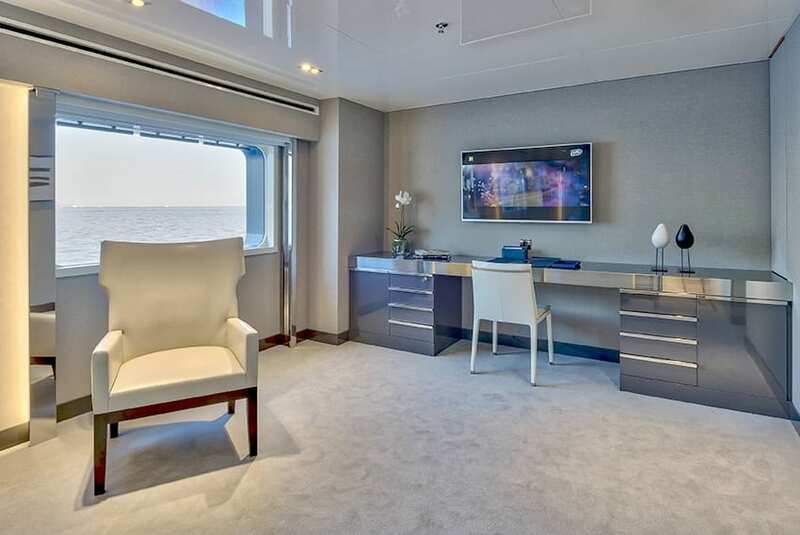 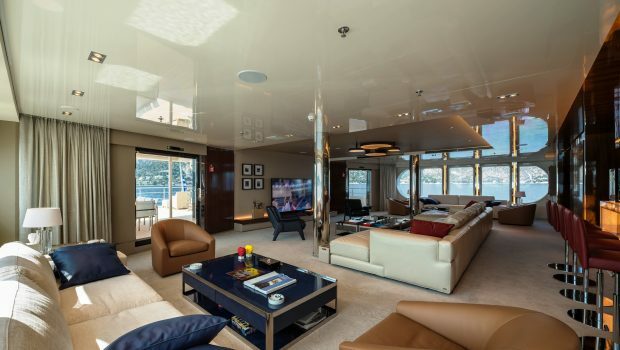 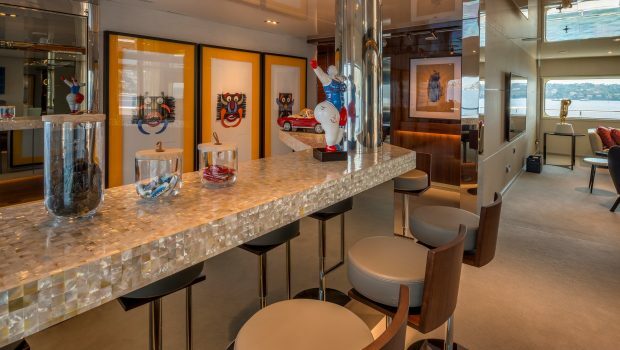 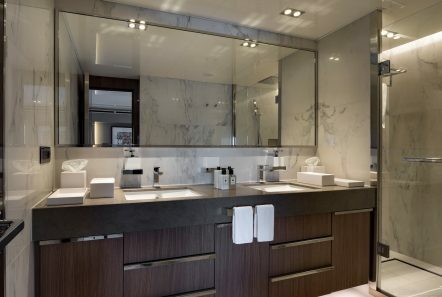 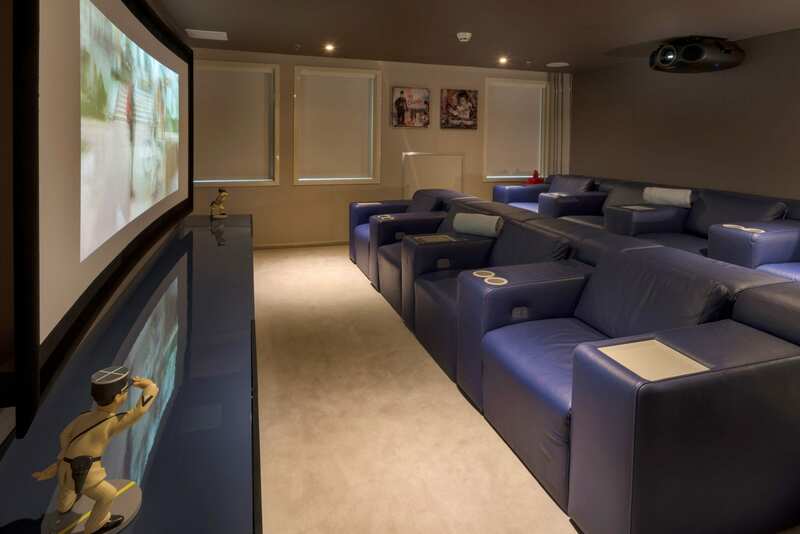 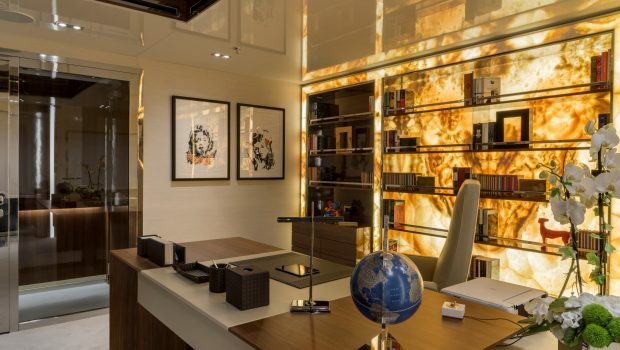 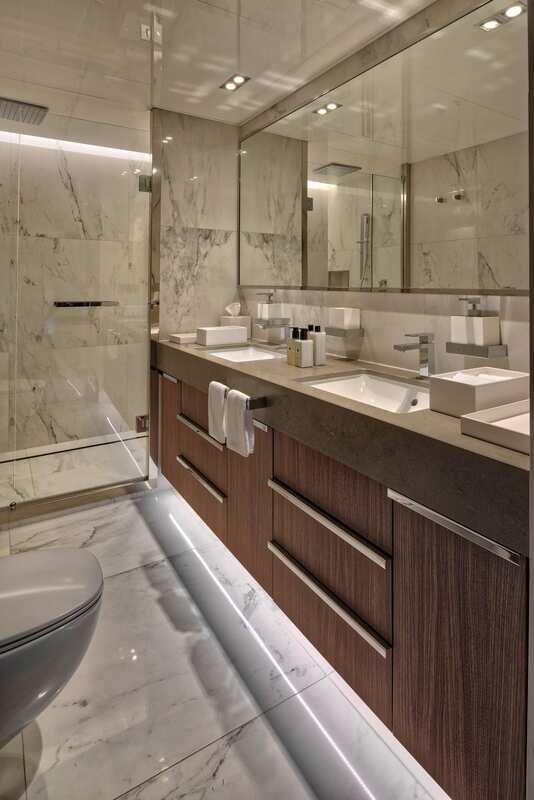 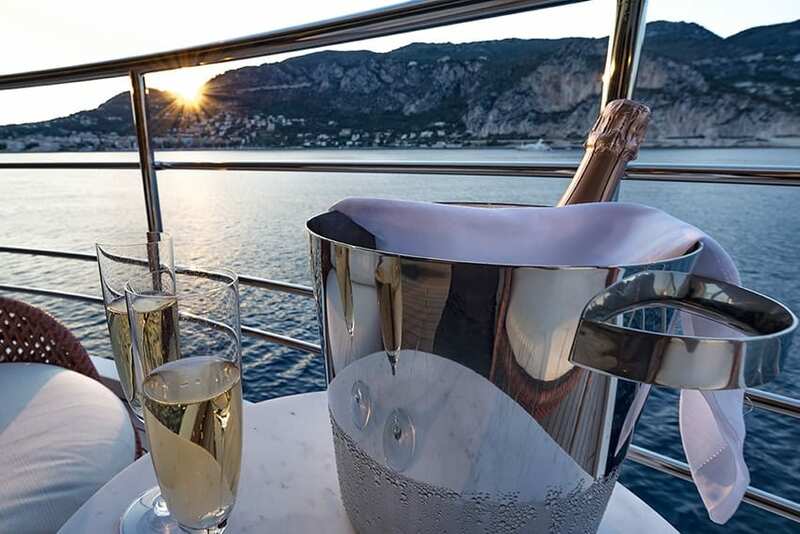 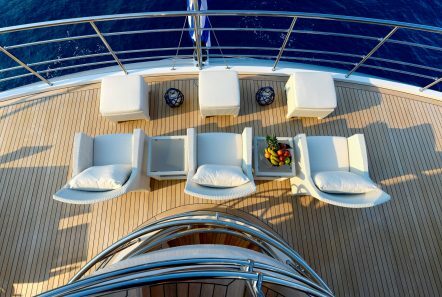 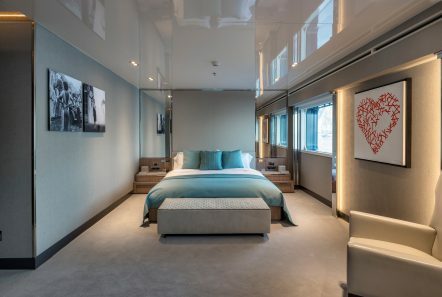 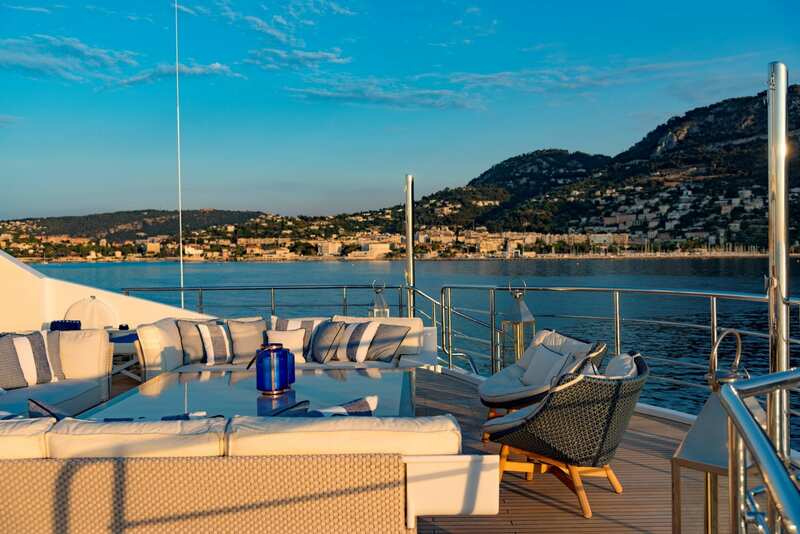 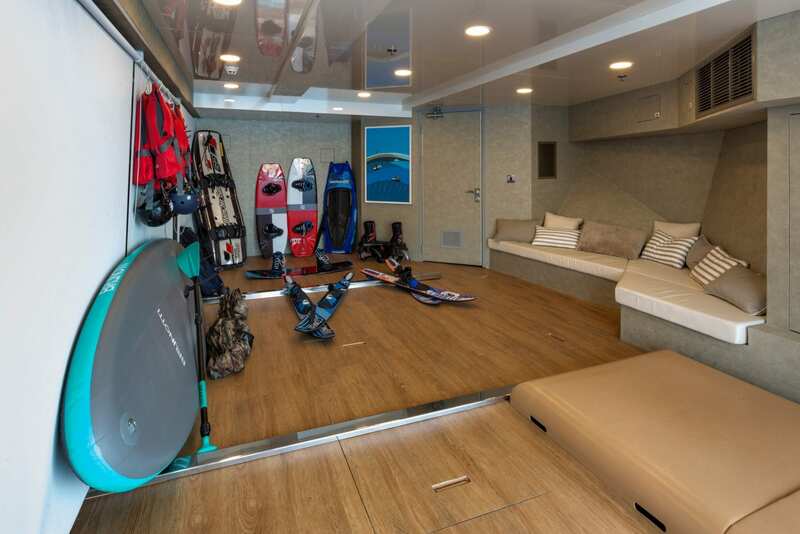 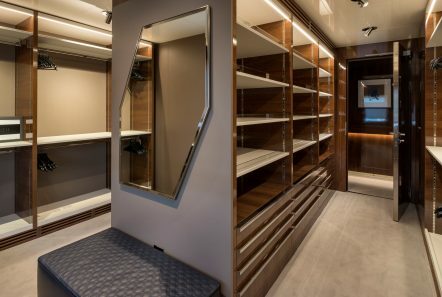 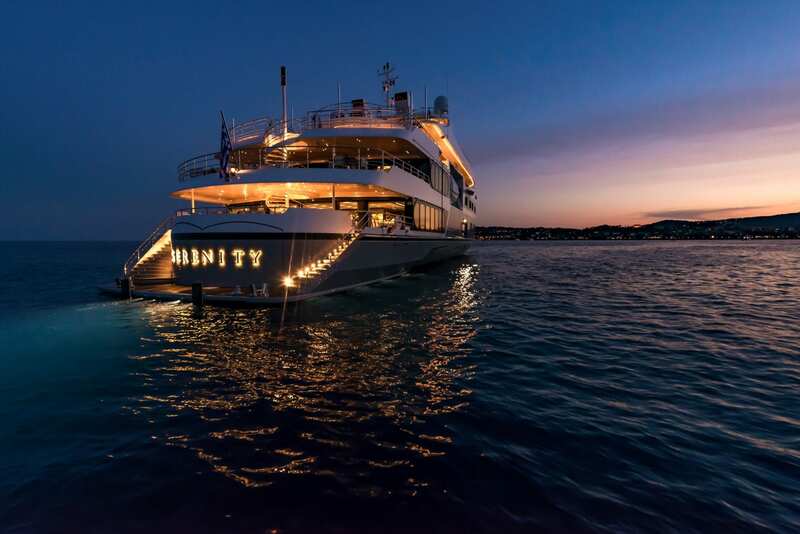 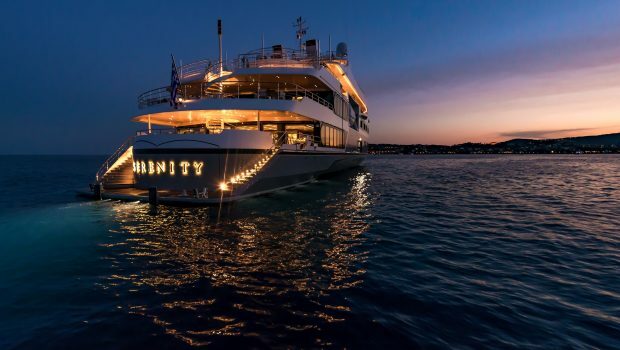 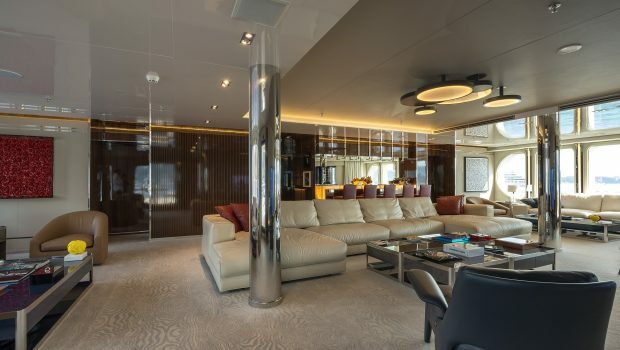 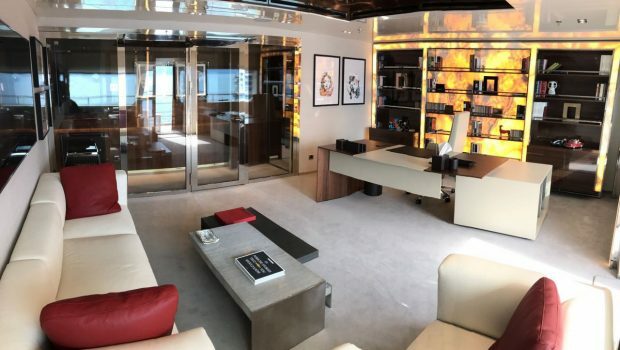 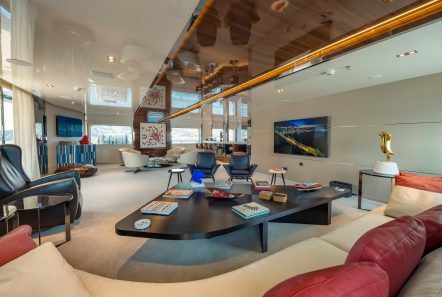 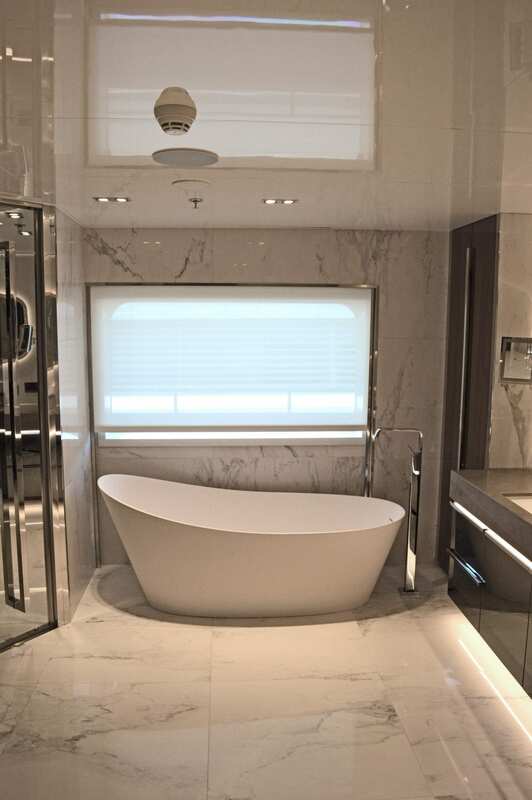 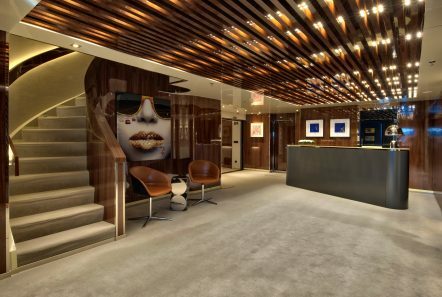 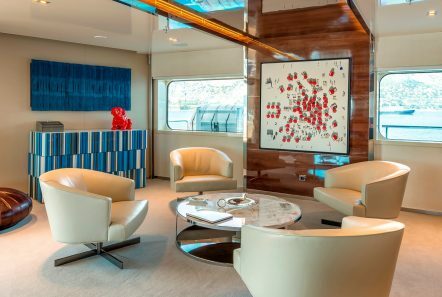 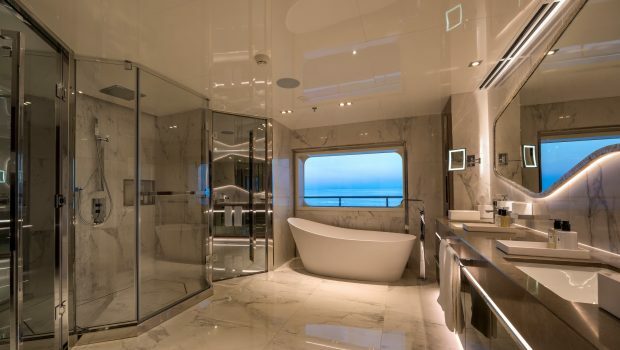 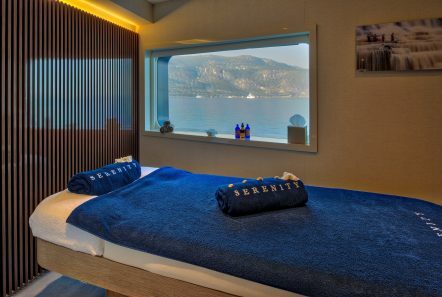 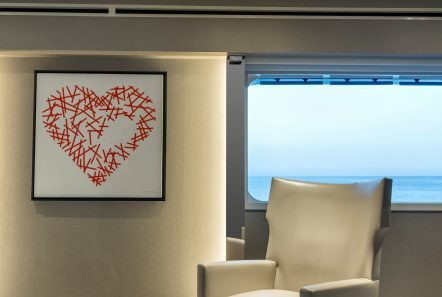 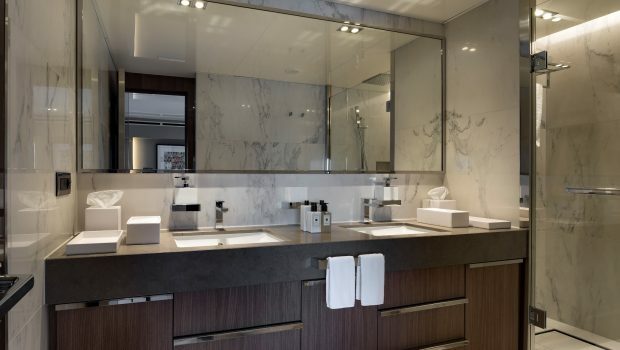 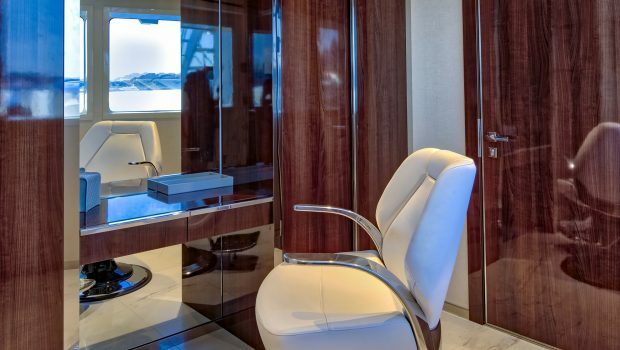 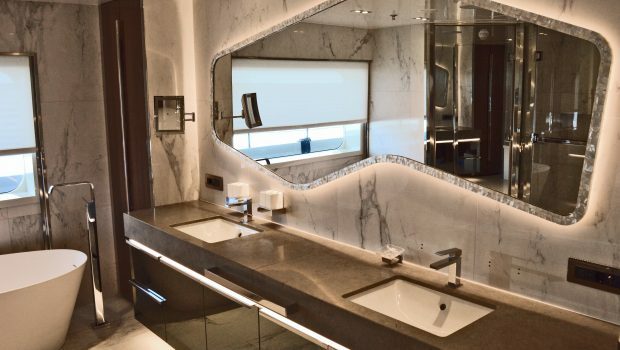 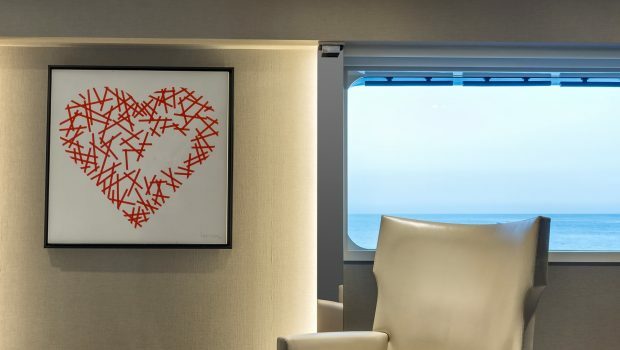 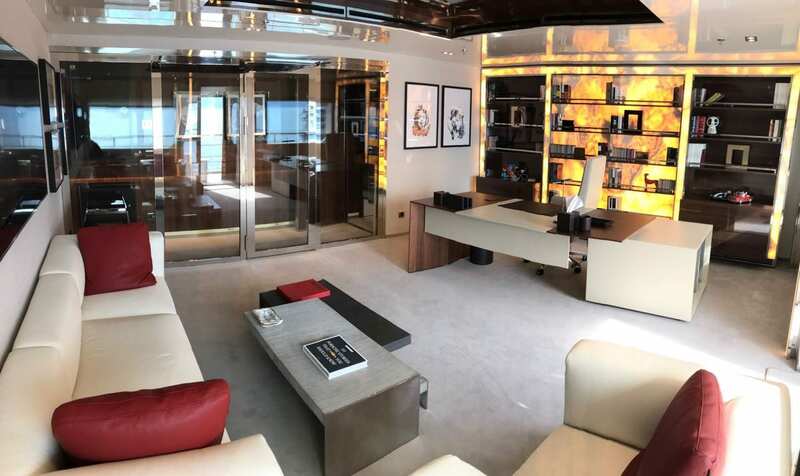 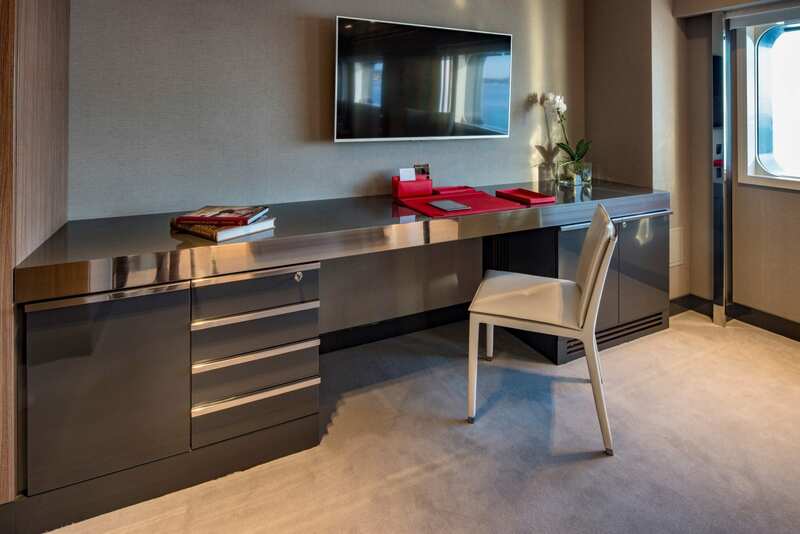 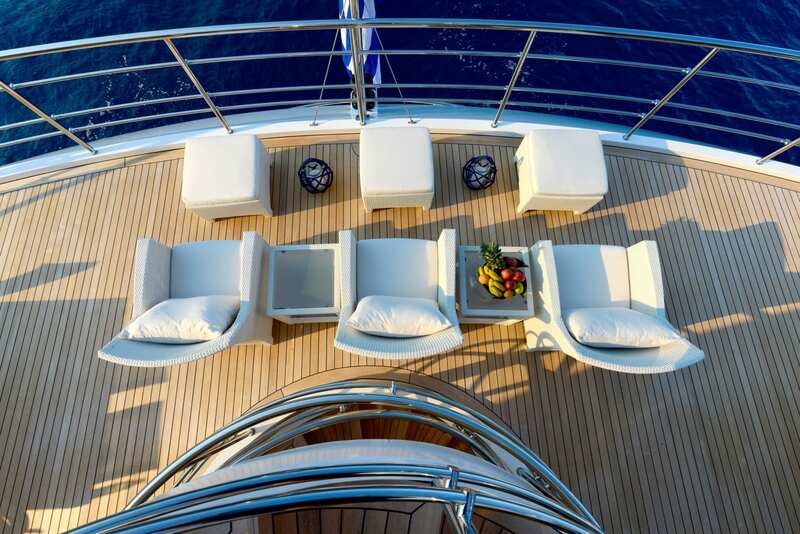 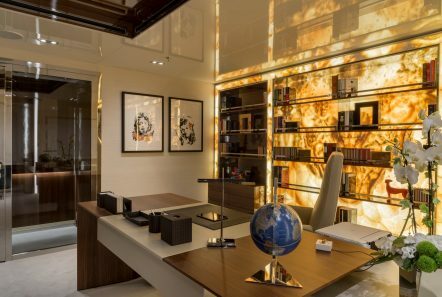 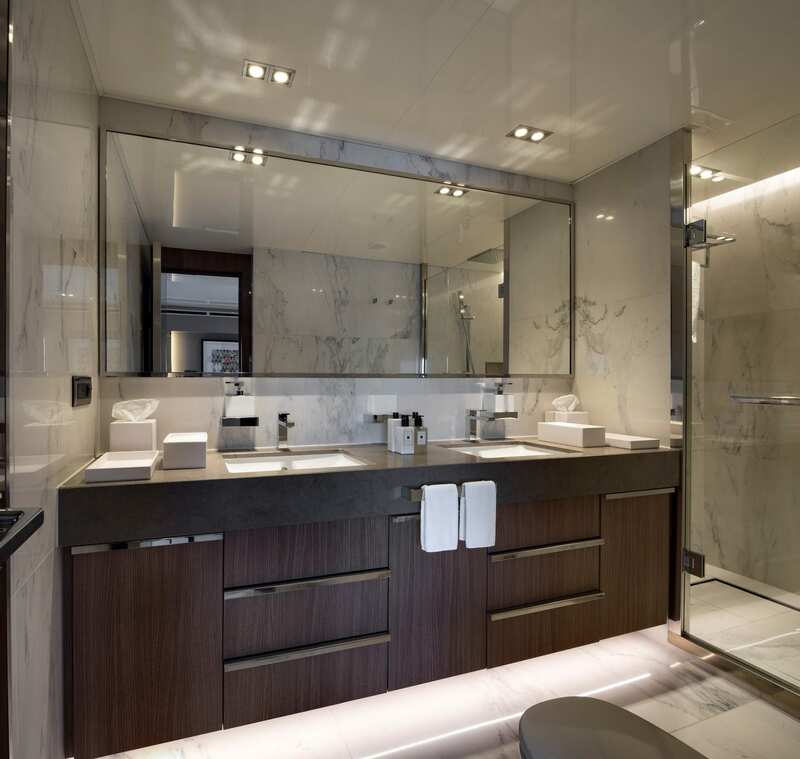 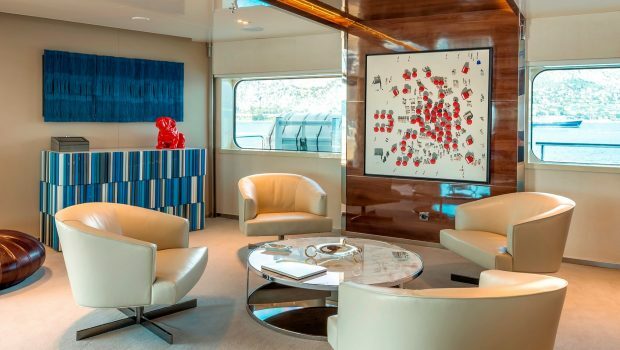 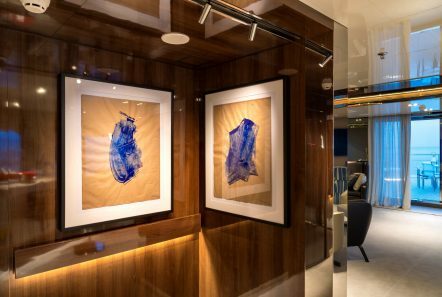 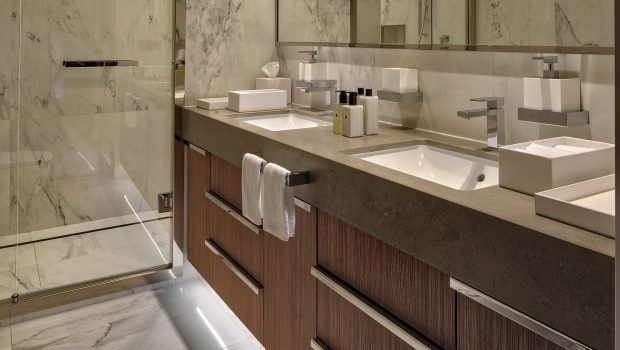 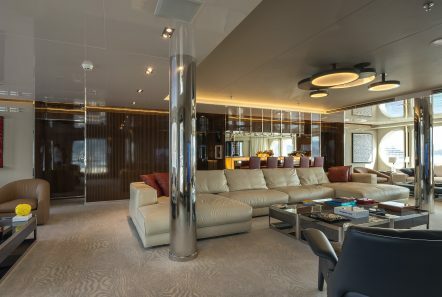 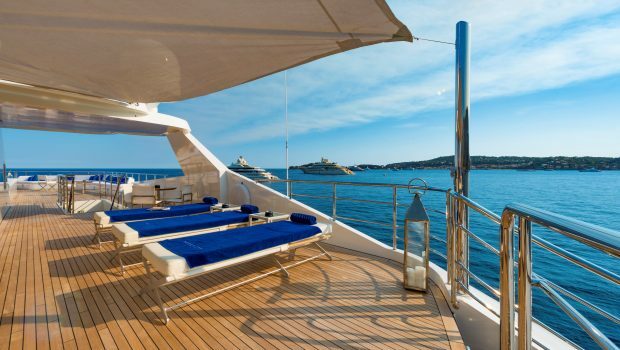 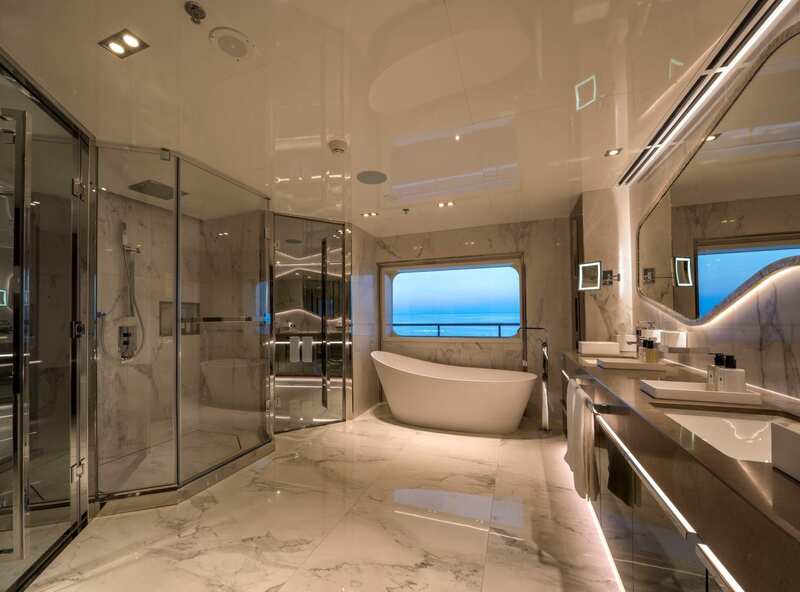 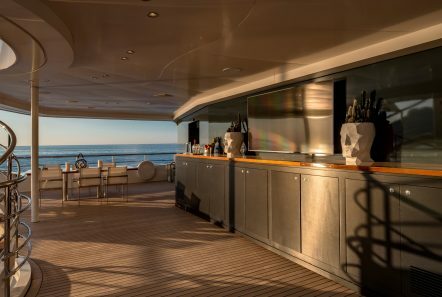 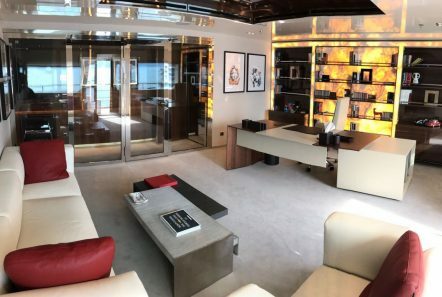 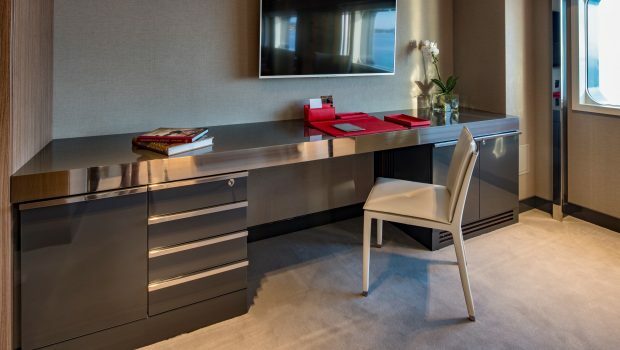 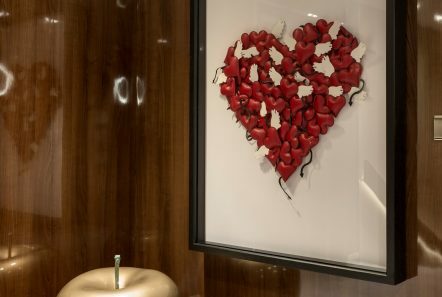 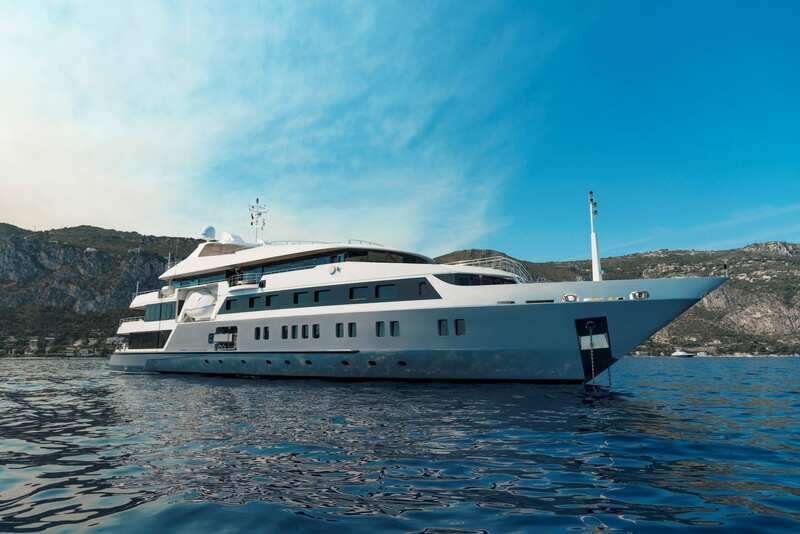 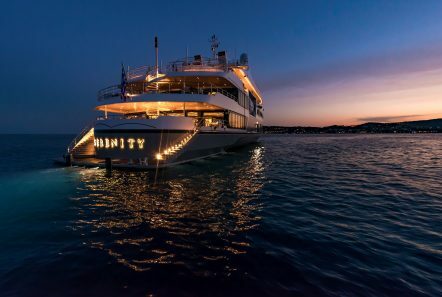 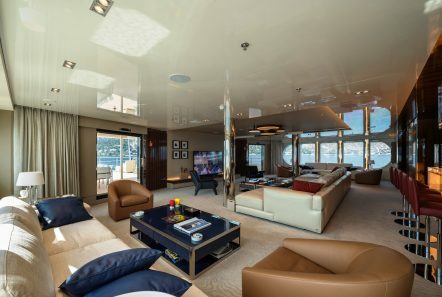 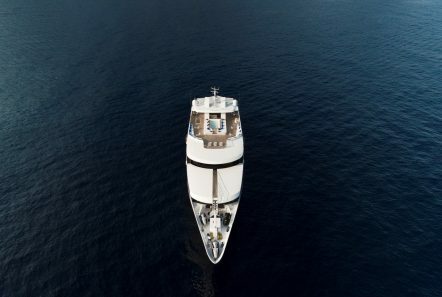 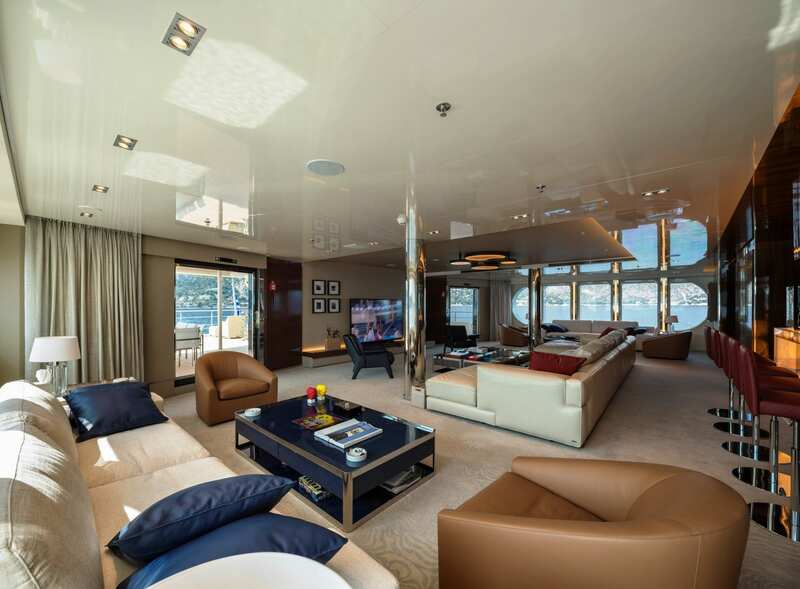 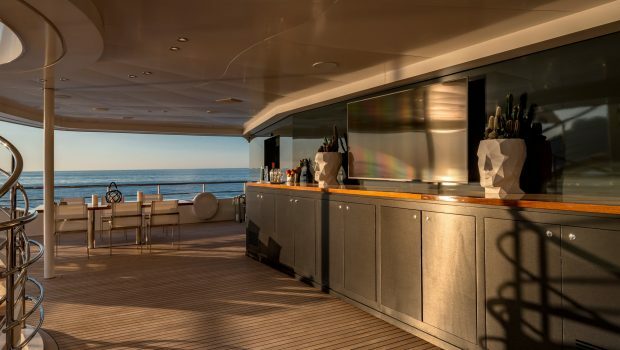 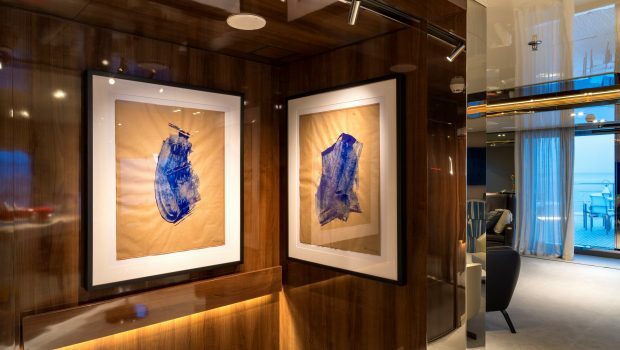 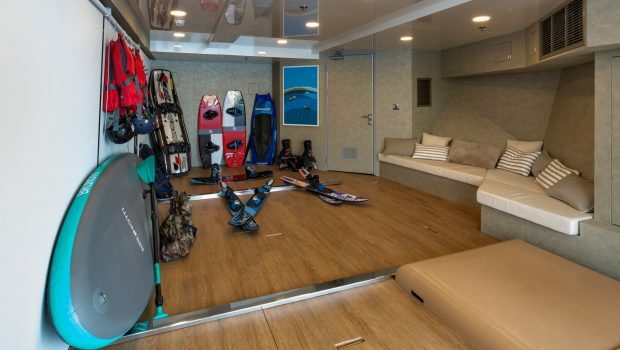 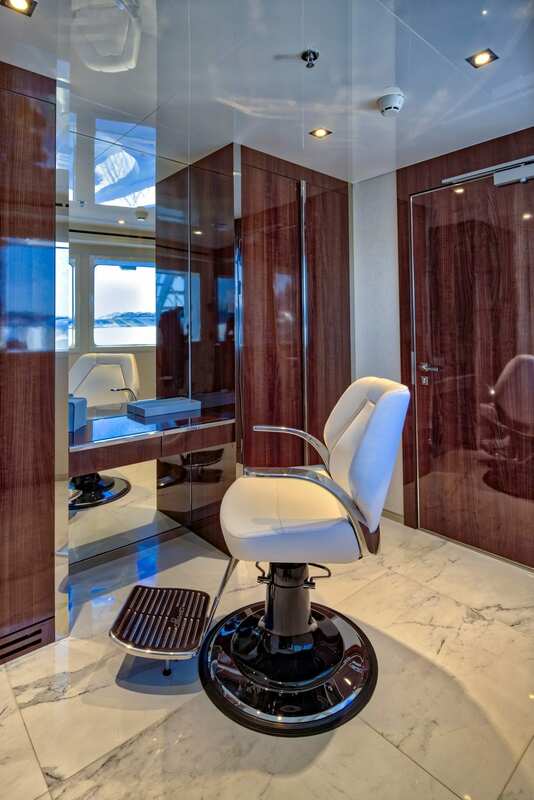 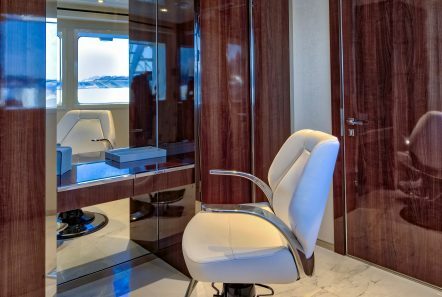 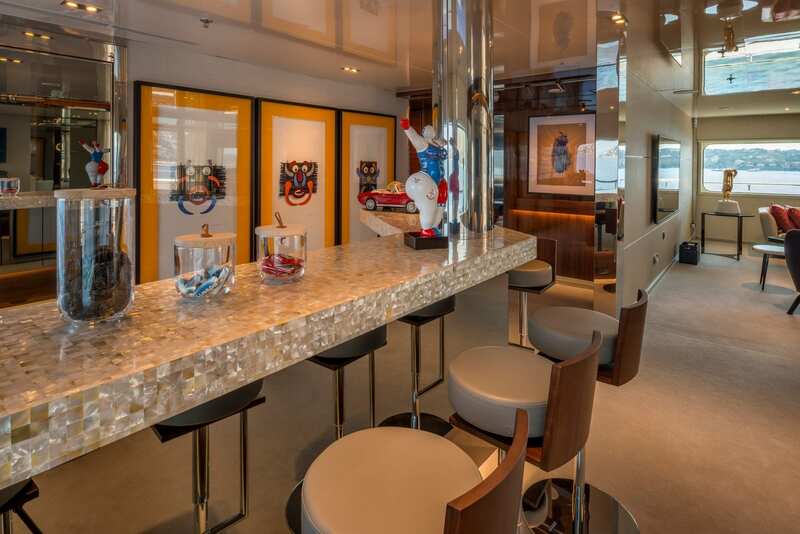 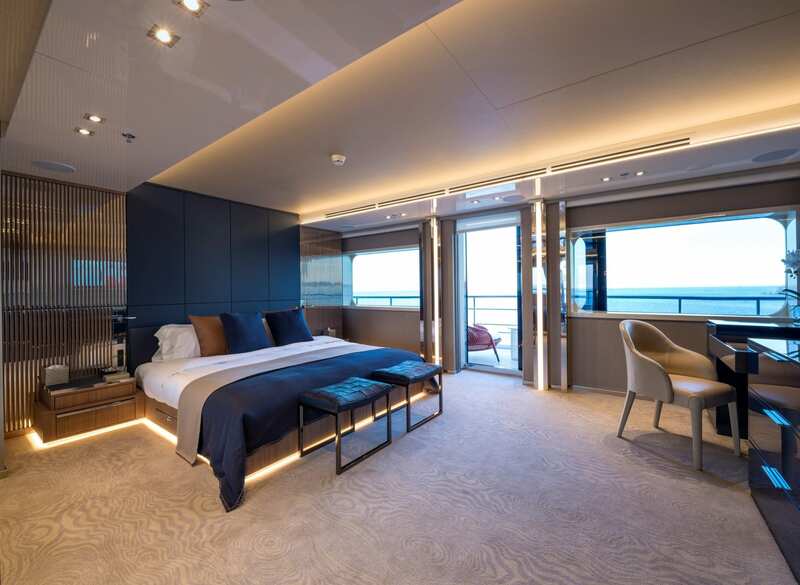 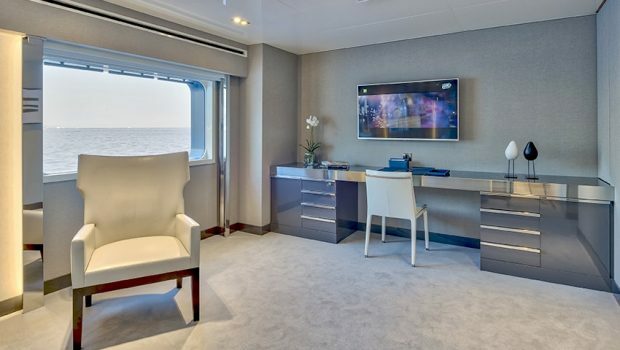 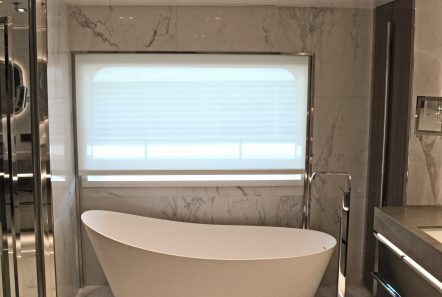 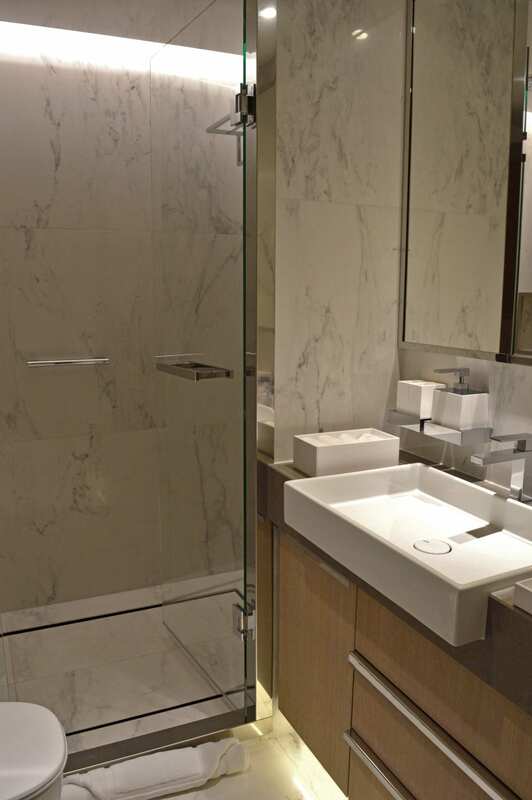 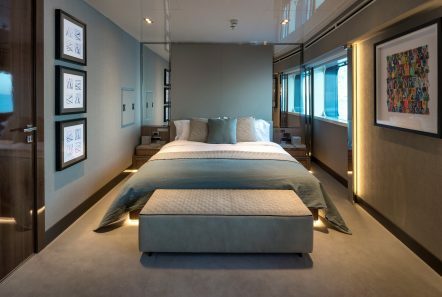 Pure “serenity” and privacy can be found from her upper deck private bar, a Jacuzzi and sunbathing deck, a gym, lounging and seating decks all outside to her sleek clean lined in design inner salons, indoor bar area, elegant dining room, personal office and TV room. 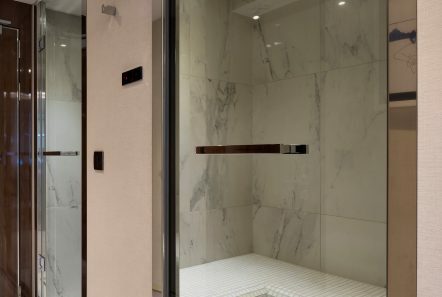 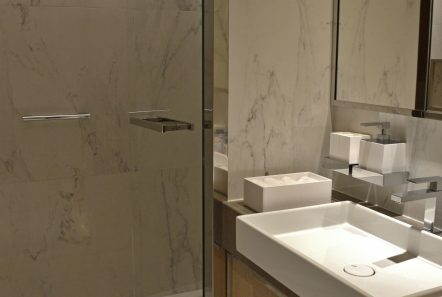 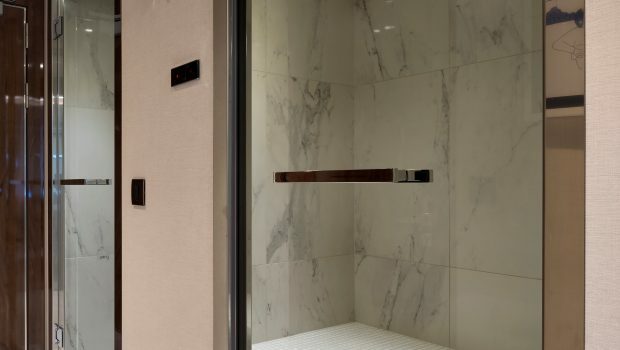 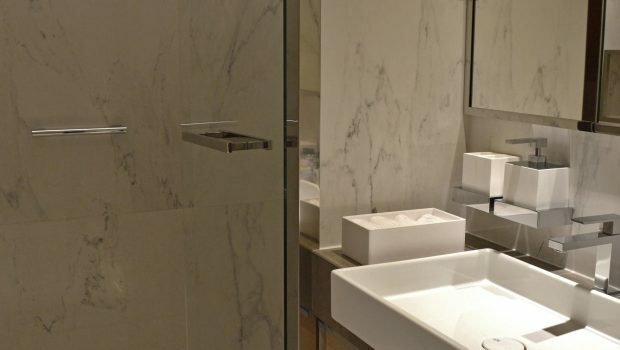 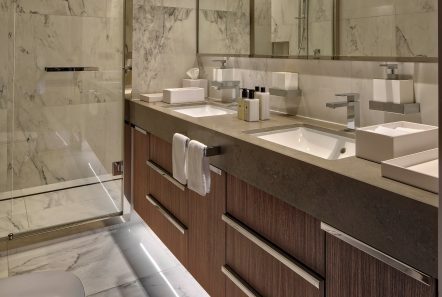 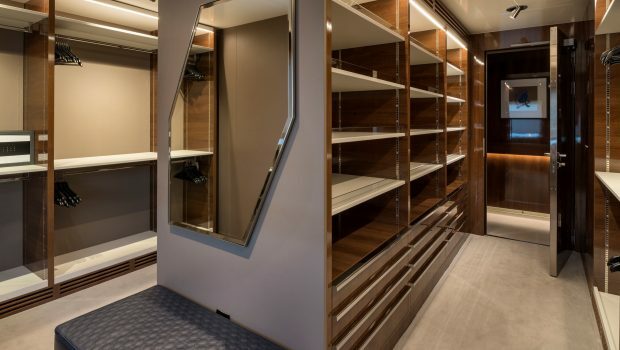 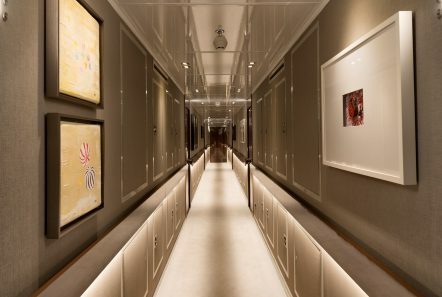 She accommodates up to 28 guests in 14 spacious and sophisticated cabins with en suite baths including bath tubs, walk in closets and seating areas. 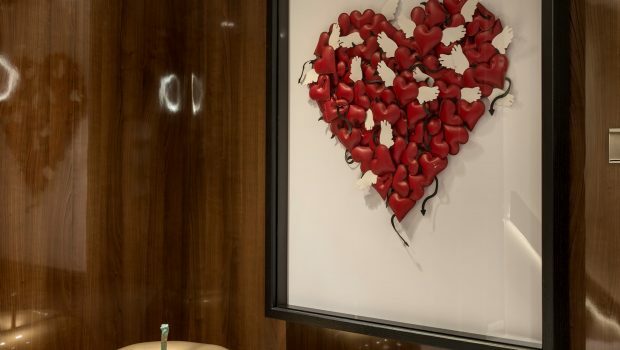 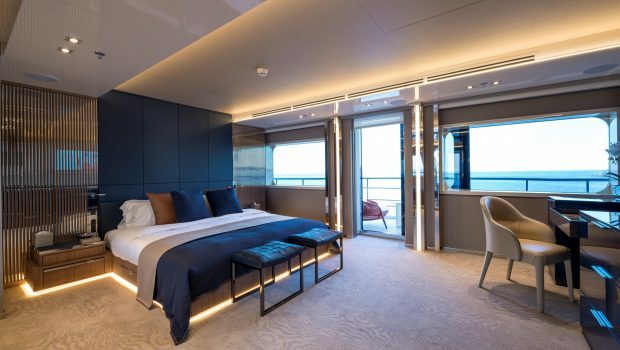 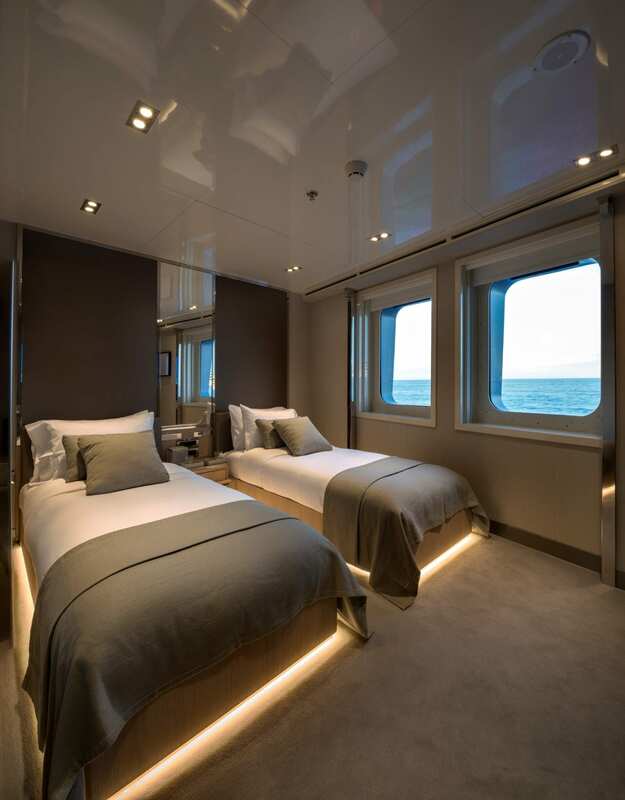 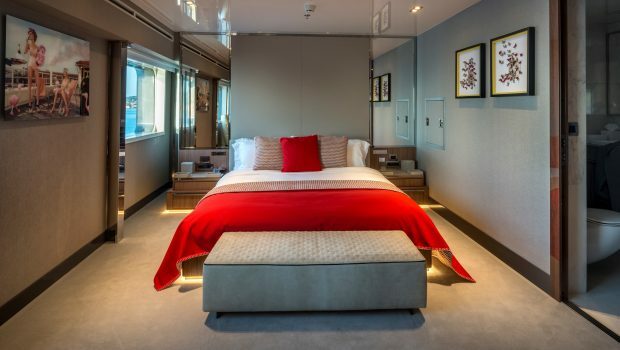 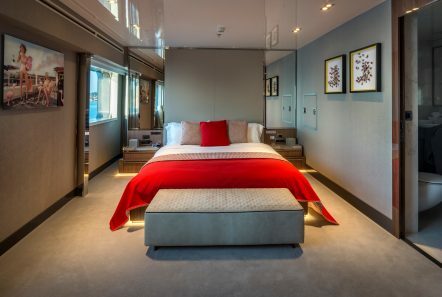 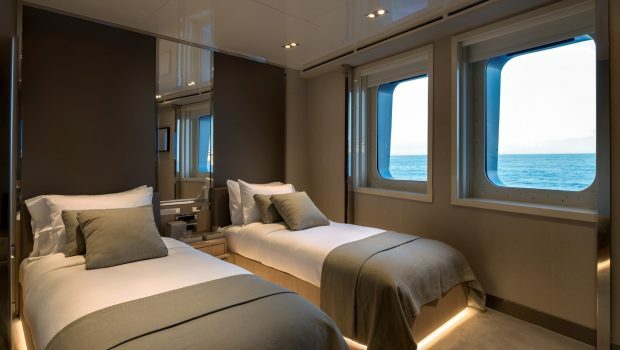 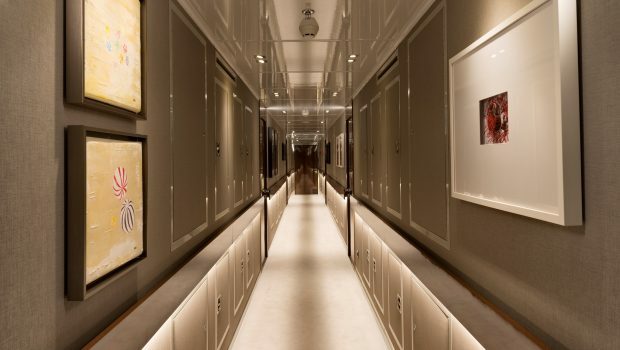 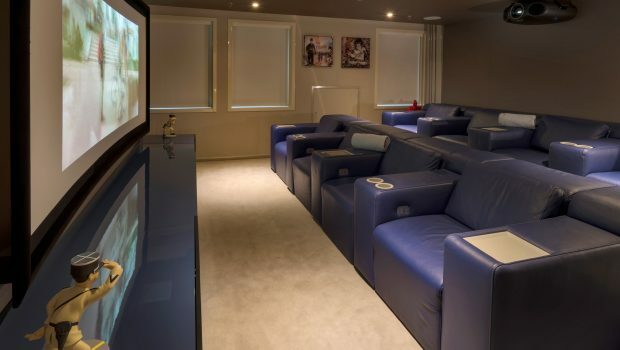 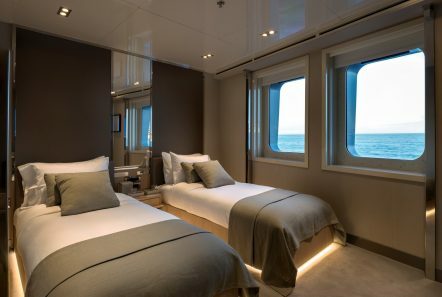 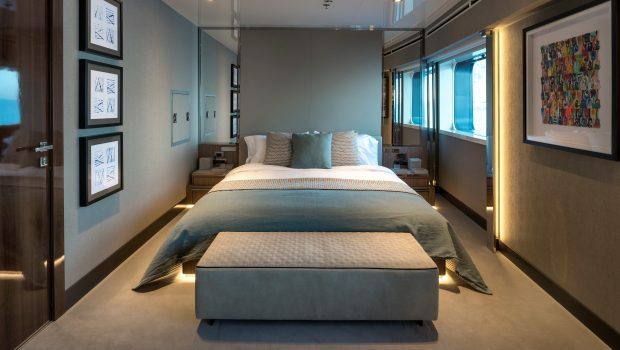 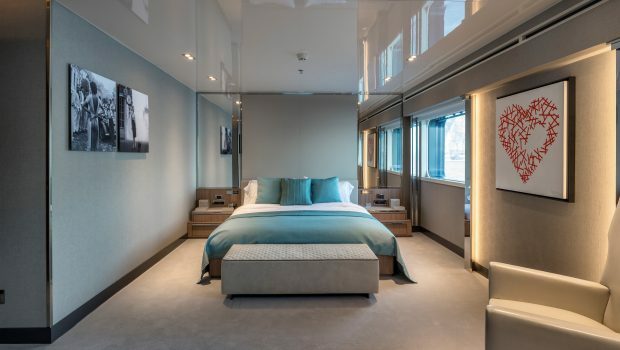 She has a master suite, 2 VIP staterooms, 10 double cabins, 1 twin cabins and 2 pullman beds. 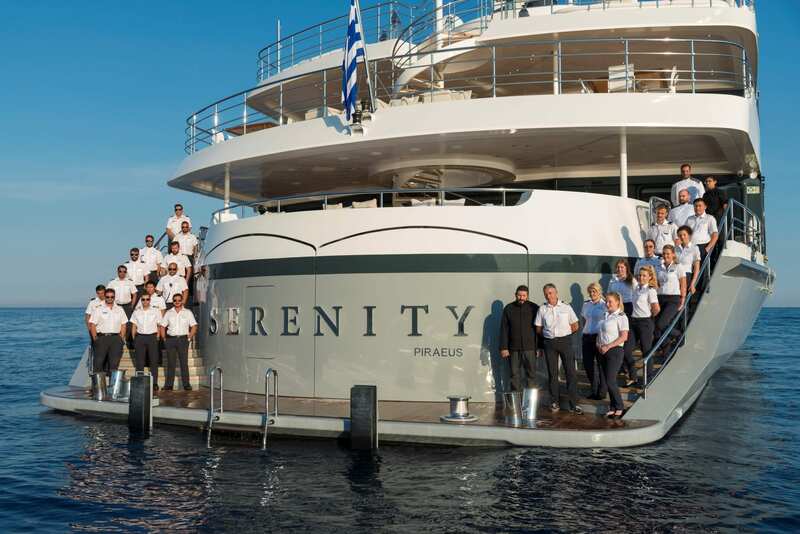 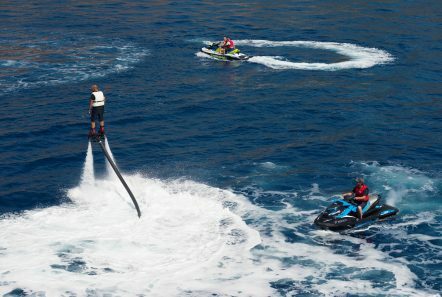 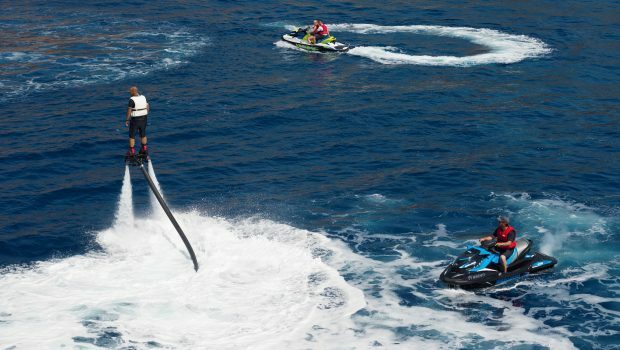 Her service aboard is impeccable with a full crew of 30 to service one’s every need.